Section II of the walk goes from Barton to Wellington Dock. The virtual walk along the Dour starts at Temple Ewell, a village north of Dover on what was once Watling Street the Roman road to London. More recently the road was the A2 but since 1974 the much quieter A256. 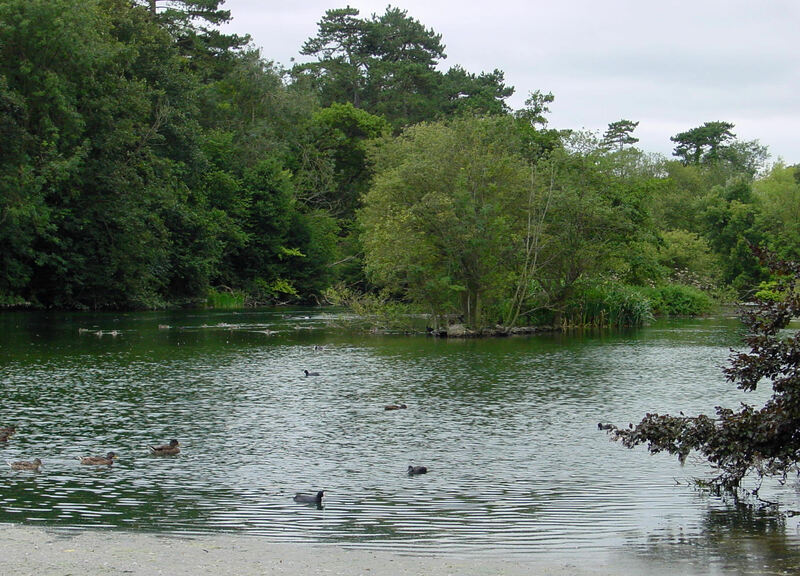 The primary source of the Dour is actually a pond at Watersend, at the north end of Temple Ewell, fed by nine springs. 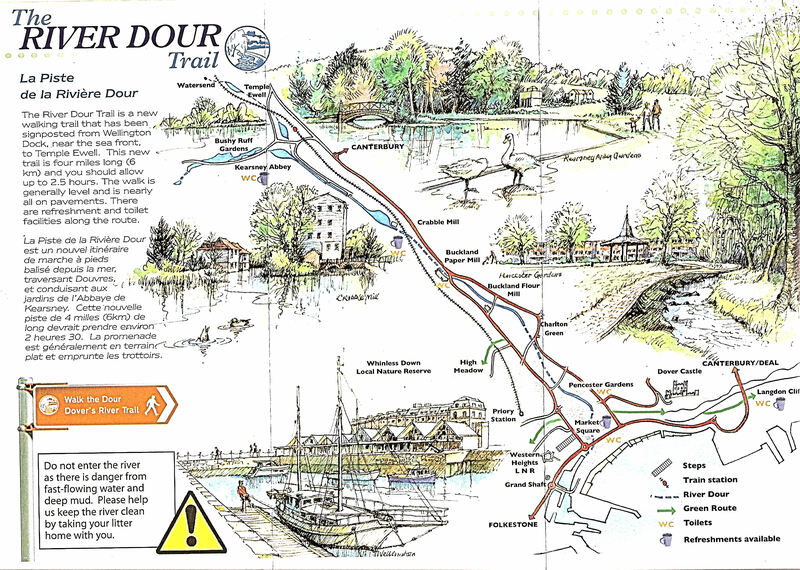 Throughout the course to Wellington Dock and the sea, the river is fed by tributaries, the main one from Drellingore in the Alkham Valley, and springs both permanent and intermittent or nailbournes, as discussed in Part I of the River Dour story. The village of Temple Ewell can trace its origins to when the Romans laid Watling Street but was first mentioned in 772AD, when Æwille, meaning river source or spring was mentioned in a Saxon charter. Following the Conquest of 1066, the area came under Norman ownership and in the Domesday Book of 1086, the village was called Ewelle or Etwelle – derived from its Saxon name. Ewell received the prefix from the Knights Templars when in 1163 they were given the village in recognition of their work as the major fighting force during the Crusades. In the latter part of the 18th century, Edward Hasted (1732-1812) started his description of Temple Ewell by saying that the, ‘hills rise here on each side very high and mountainous, and the vales between them are very deep and hollow; the hills are almost wholly enclosed, some of them arable, and the others covered with greenswerd, having furzes and broom interspersed on them at different intervals.’ Adding that ‘the prospects on both sides being beautifully romantic and singular; and they are terminated by the town of Dover, its castle, and the sea, and beyond all, the Boulogne hills on the coast of France.’ In many respects, the village has retained much of the character that Hasted described and some of the mountainous hills are now part of the Lydden and Temple Ewell Downs Nature Reserve administered by the Kent Wildlife Trust that can be accessed from the village. The walk starts in the centre of the village at the appropriately name Brookside. The springs that feed the Dour here are relatively warm and it was once suggested that boring should be undertaken to see if there were hot springs at a lower level. If this was the case, it was suggested, they could be utilised as ‘medicinal baths.’ However, nothing came of the idea. Nearby are the remains of the Temple Ewell corn mills, one of which is considered a fine example of a mid-19th century corn mill. The original Temple Ewell mill was built by the Knights Templars and was rebuilt in 1535. 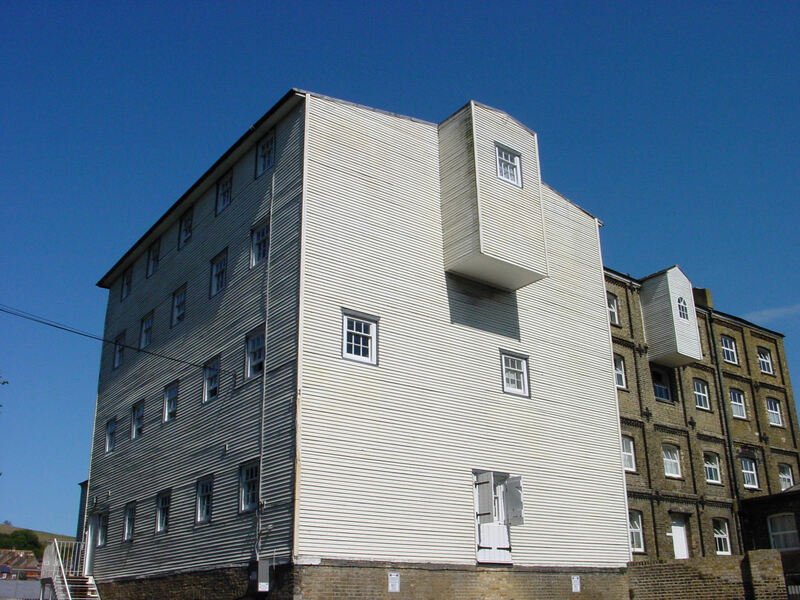 In 1798, at the time of the Napoleonic Wars (1793-1815), Joseph and John Pilcher of Margate bought the mill in the hope of making their fortune. At the time Dover was a military and naval base and there was a great demand for flour but the plan failed in the economic depression that followed the War. The Pilchers learnt the hard way that mill owning was subject to the vagaries of politics and the economy as well as the climate. Eventually, the Pilchers were declared bankrupt and the mill was sold. In 1847, Alfred Stanley senior bought the mill for £100. He already owned the land at Watersend including the foundation springs as well as Kearsney corn mill. In 1870 his son built a second mill nearby, to the same specifications as the Kearsney mill and the business thrived. By 1957, the second Temple Ewell mill was the last working corn mill on the Dour and was owned by the great-grandson of Alfred Stanley! Part of the first Temple Ewell mill was demolished with the remainder becoming a residence while the second mill continued to operate until it closed in 1967. 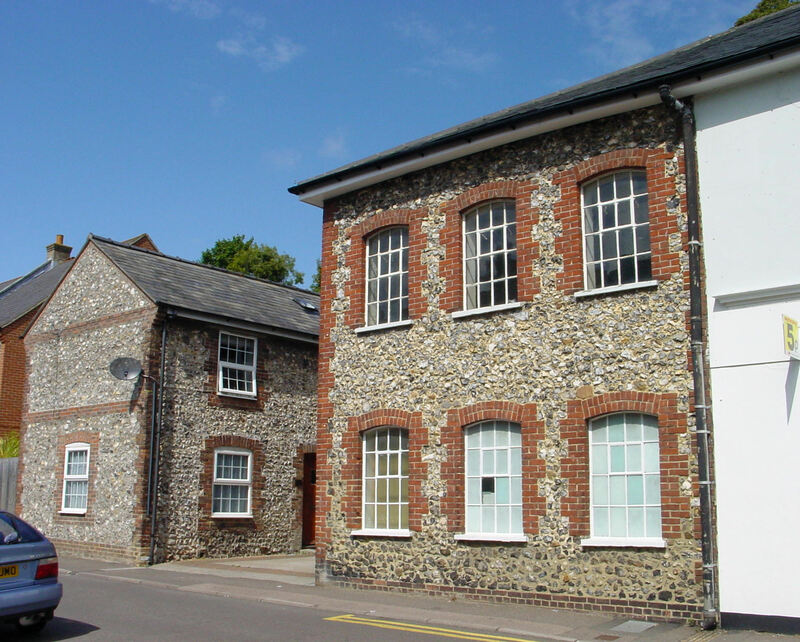 Four years later Dover Operatic and Drama Society bought the mill to provide rehearsal rooms and storage facilities. As the Dour enters the centre of the village, on the right is Church Hill that leads to Scotland Common and Ghost Hill. 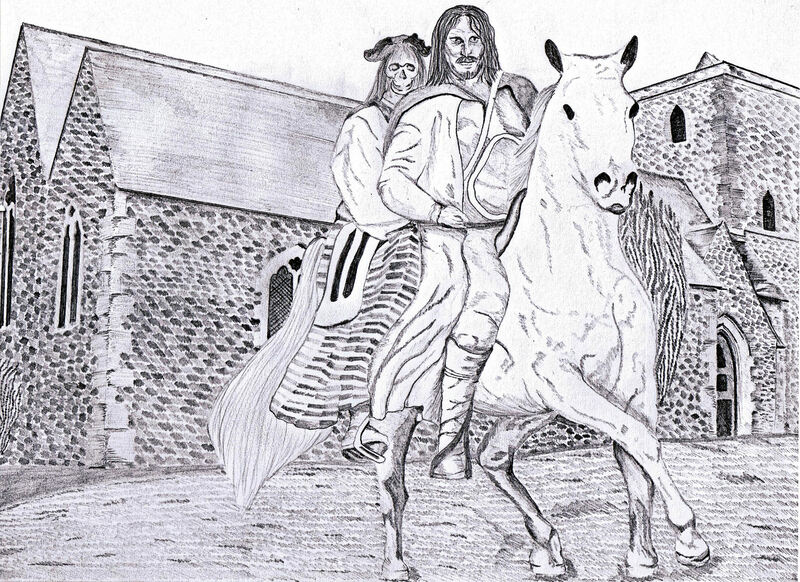 Local folklore tells us that a handsome young man, riding a horse and carrying an older female pillion fashion, haunts Ghost Hill. The story has been recounted in the book Haunted Dover, and took place during the American War of Independence (1776-1783). Tom, a despatch rider, was taking an important message that had arrived from France, to London. Before leaving Dover he had called on his beloved, Elizabeth, daughter of Benjamin Worthington, who owned the Ship Hotel, on Custom House Quay – now the Snargate Street side of the Granville Dock. Unfortunately, Tom was deliberately drugged so was unable to take the message and Elizabeth took it instead. At Temple Ewell, she met with an accident at the foot of Ghost Hill and her frozen lifeless body was returned to Dover. Tom, still suffering the effects of the drug, rode as fast as he could to London and delivered the message but exhaustion got the better of him and he collapsed and died. Elizabeth, however, made a slow recovery and the story goes that Tom’s ghost came back to Temple Ewell and they would meet until she too eventually died. The memory of the two lovers and their horse lives on through the name of the hill! SS Peter and Paul Church, nestles below Ghost Hill and was built by the Knights Templars. A legacy is the original eight pointed cross emblem of the Templars that can still be seen within the beautiful northwest doorway. The round-headed window to the west of the door also probably dates from that time, as does the north wall of the nave. During World War II (1939-1945) a shell exploded nearby, shattering the Church’s stained glass window. Nearby is Temple Ewell school, which opened in 1871, the children having previously been taught in the Church. Since that time the school has been enlarged and still remains an important part of village life. The recreation ground between the Church and the school was laid in 1935 to celebrate the silver jubilee of the accession of George V (1910-1936) to the throne. At the bottom of Church Hill is the appropriately named Templar Road and carrying on from Brookside is Dour Terrace that leads into the High Street. On the corner is the Fox public house, which originally was a cottage from which the occupants, Thomas Friend and his family, provided ale for the mill workers. Having held a victuallers’ licence from before 1861, it would seem that Mr Friend erected a larger building on the site about that time. George, Thomas’s son, took over the pub and it stayed in the family until 1918 when it was again rebuilt to that which we can see today. 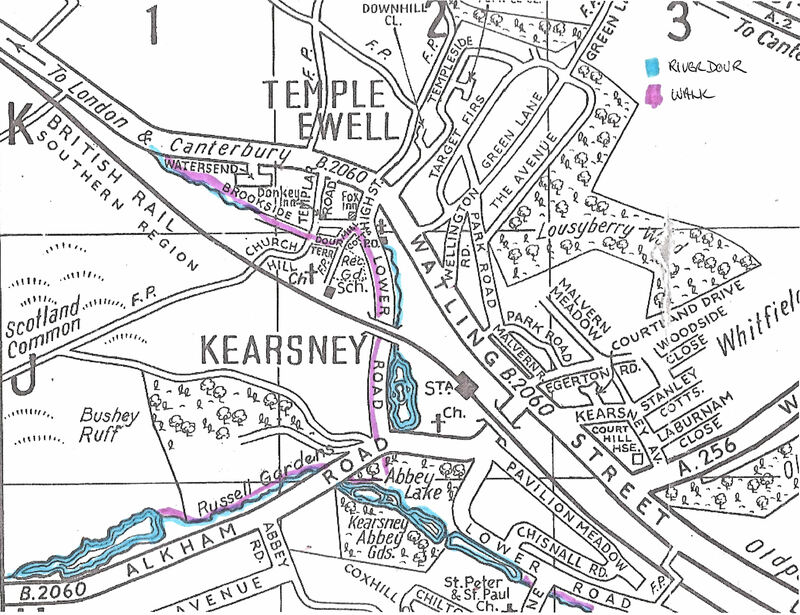 Opposite the Fox is the Lower Road (Temple Ewell) that runs alongside the Dour, to the hamlet of Kearsney. The walk goes along Lower Road path and although modern developments are often subject of derision, on the left side at the far side of the Dour, are some new build bungalows. The gardens run down to the river giving the whole a pretty aspect. 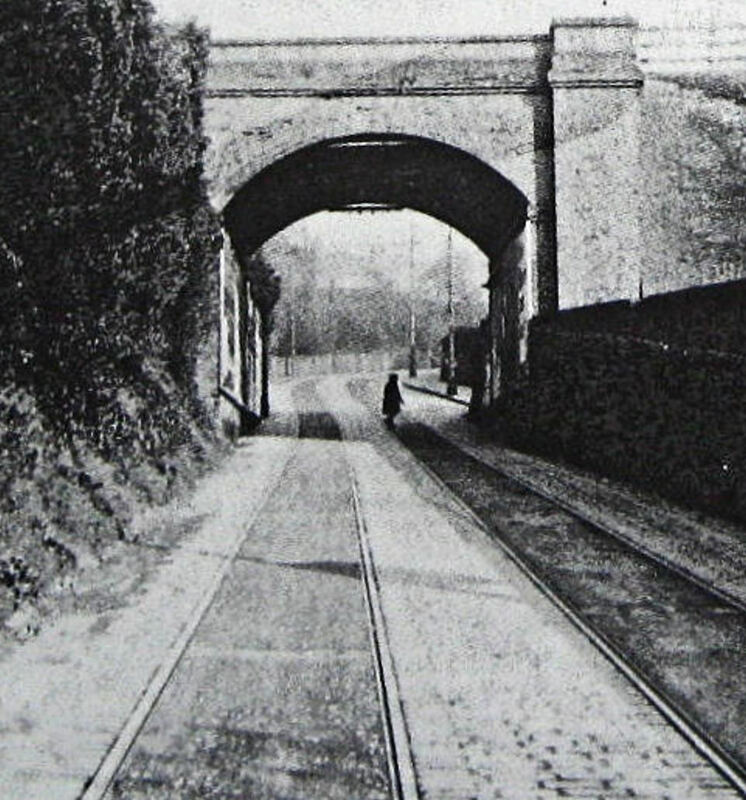 The high railway viaduct crosses the Lower Road roughly where the hamlet of Kearsney begins. The viaduct was built in 1860 for the London, Chatham and Dover Railway Company and these days the line is from London Victoria to Dover via Canterbury. At Kearsney the Dour enters the grounds of Kearsney Manor on the left side. The lake was originally the ancient Kearsney millpond and at the far side is a black and white building. This was the hamlet’s medieval Kearsney Court but name was changed about 1900 to Kearsney Manor after the new Kearsney Court was named along the Alkham Valley Road. Kearsney was once part of the medieval Barony of Saye and by 1490 was in the possession of the Roper family of Canterbury. About a century later the estate was sold to the Best family, also of Canterbury, and over the succeeding centuries passed through several owners. In 1701, the hamlet was in the hands of John Sladden, a Dover Merchant who gave it to his sister Mary on her marriage to Thomas Fagge, also of Dover. Thomas Biggs of Dover inherited the estate in 1788 and two years later sold it to banker, Peter Fector (1723-1814). Peter Fector gave the estate to his son John Minet Fector (1754-1821) who bequeathed it to his son, John Minet Fector junior (1812-1868) who sold all his Kearsney estates in 1844 and moved to London. In 1870 the former Packet owner and Dover’s Mayor, (1867) Joseph George Churchward (1818-1900), bought the estates and seven years later he moved from Kearsney Abbey to the Manor. Following his death in 1900, the Manor, including the mill, was bought by Frank Leney (1871-1900), of the brewing family, who extended and modernised the building. However, he became seriously ill and moved out in 1902 and the Manor with the mill was sold that year. A French Order of Augustinian nuns known as Les Dames Augustines du Frécieux Sang bought the Manor and the Sisters stayed until 1981. During that time the tiny chapel was built but in 1952 the mill was demolished. The property is now in the possession of the Sisters of the Christian Retreat. For the full story: see Kearsney Manor. 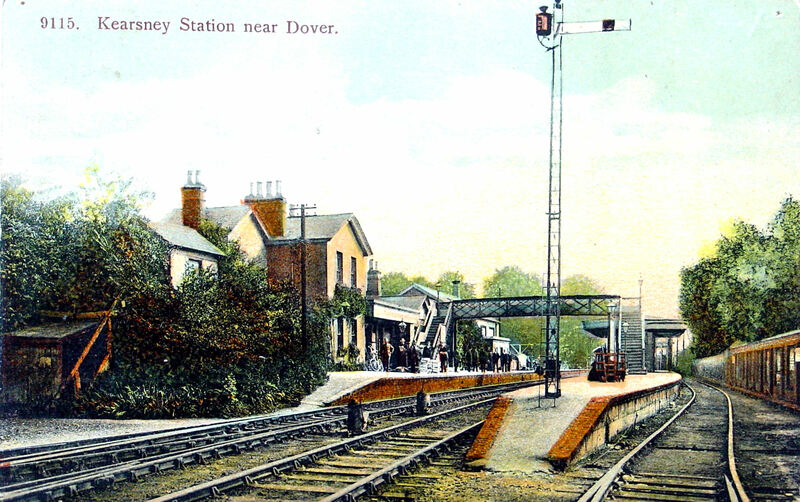 The Dover–London railway line, via Canterbury, runs through Kearsney and east of the Manor is Kearsney railway station. Built by the London, Chatham and Dover Railway Company the station opened in 1861 to serve the residents of Ewell and River, as can still be seen on the station sign. On leaving the grounds of Kearsney Manor, the Dour passes through a conduit and into the grounds of Kearsney Abbey on the opposite side of the Alkham Valley Road. Before entering the Abbey note the 1951 boundary stone that mark’s the Abbey coming under jurisdiction of Dover Corporation – more about this in the section on Kearsney Abbey below. The Dour tributary rises from a nailbourne (intermittent spring) at Drellingore, a wooded hill above the pretty village of Alkham on the Alkham Valley Road. Back in 1830, Zachariah Warren’s Dover Guide , made reference to this nailbourne saying that at Drellingore there was a large pond that sometimes dried up. He goes on to say that ‘at other times it overflows its banks, and produces a considerable stream of water, which taking its course over the fields, passes down the valley and joins the river.’ During World War II a Home Guard platoon, who knew the area well, had an underground bunker at Drellingore from which they were to cause mayhem if the Germans had invaded. All down the Alkham valley, the river is fed by springs, many of which are nailbournes. From Drellingore the Dour tributary enters the 4 acre Bushy Ruff lake that was created in the early 19th century when paper mills were built and the mill dam partially blocked the tributary that these days is a magnet for wild life. This part of the walk starts from the east side of the lake near to former colonial style Bushy Ruff House, which is the subject of its own story: Bushy Ruff. 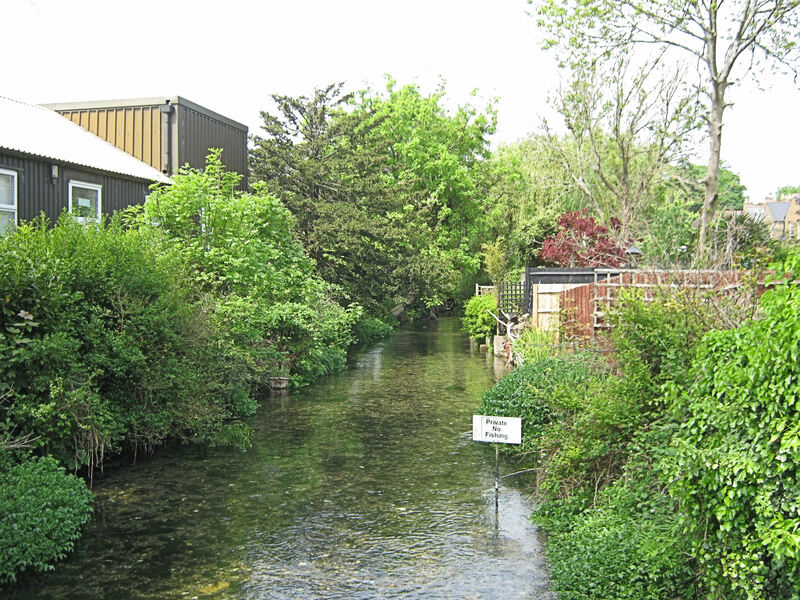 Going east, it can be seen that the tributary divides, one stream going right into a culvert that takes it under the Alkham Valley Road to Chilton Brook and then on to Kearsney Abbey. This was the course of the river in 1882 but that year Dover brewer Alfred Charles Leney (1860-1973) of the brewing family bought Kearsney Court farm and 4 acres of land along the Alkham Valley Road. His intention of building a grand residence, named Kearsney Court, more palatial than its neighbour, Kearsney Abbey. He was never satisfied and in 1900 he moved to his new residence at Sandling leaving the Kearsney mansion unfinished. The estate was bought by Edward Percy Barlow (1855-1912), a Managing Director with Wiggins Teape. The company had just bought Buckland paper mill on Crabble Hill and Barlow was to manage it. Highly efficient, Barlow quickly ensured that Kearsney Court was completed. To complement Kearsney Court, Barlow hired Thomas H Mawson (1861-1933), the landscape architect of high repute, to create a garden that would show the house to its best advantage. 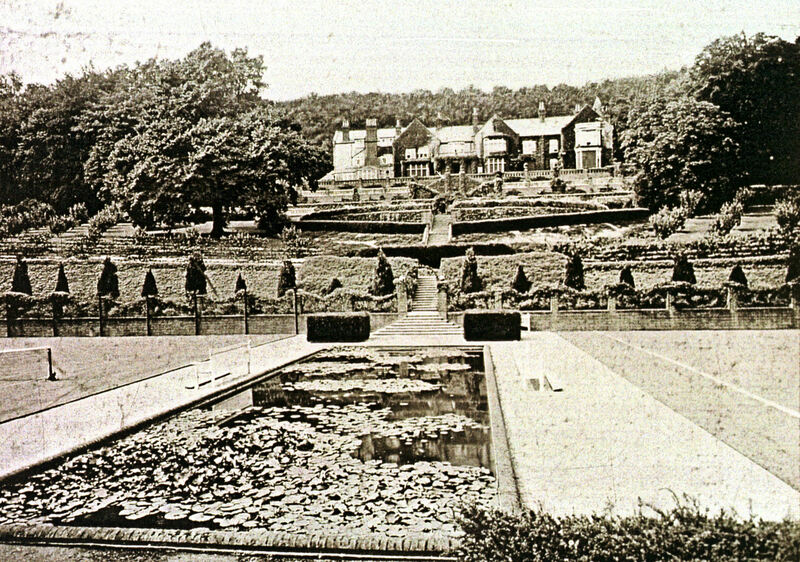 Mawson envisaged making a feature of the south side of Kearsney Court with a ‘cascading’ formal garden going down to the River Dour tributary. To achieve this, Mawson diverted part of the Dour from Bushy Ruff bridge, to pass along the front of Kearsney Court from west to east. It is the path along this part of the Dour tributary that our virtual walk takes us. Immediately, the walk goes past the first of the two eye catching Pergola Bridges. Under this one is a stepped cascade, designed to avoid stagnation. From the Pergola Bridge, the river then forms an elongated lake complimented with tree lined walkways. Originally, from the house to the river, were raised semi-circular terraces with linking staircases and sweeping lawns, edged with box and golden yew hedges. The whole vista was interspersed with trees that gave the impression of magnificence. While Mawson was creating this garden, Barlow’s wife, Alice Mary, was the President of the Dover Womens’ Suffrage movement, but she resigned on the death of her husband in 1912. Kearsney Court was sold and eventually, in 1930, the mansion became a hospital for wealthy alcoholics. During World War II it was requisitioned and following the War was sold to a property speculator. He divided the house into maisonettes but was not interested in that part of the garden through which the Dour flowed. Former Dover Mayor, Hilton Ernest Russell was a Rural District Councillor who came to the rescue, acquiring the unwanted part of the Mawson formal gardens for his council. With the limited funds and materials available, the elongated lake, Pergola Bridges and the walkways were renovated and the gardens were officially opened to the public in May 1951. Over the following years the renovation continued and they became the jewel in the council’s crown. Following the death of Cllr. Russell in 1959, the area was named Russell Gardens and at the time of writing they are being refurbished with the help of a grant from the Heritage Lottery Fund. For the Full story: Kearsney Court and Russell Gardens. The walk having followed the Dour tributary through Russell Gardens exits at an iron gate onto the Alkham Valley Road. Nearby the tributary, in a culvert, goes under the road, to Kearsney Abbey. The pedestrian, however, has to cross this road, notorious for speeding cars, to the entrance into Kearsney Abbey opposite. 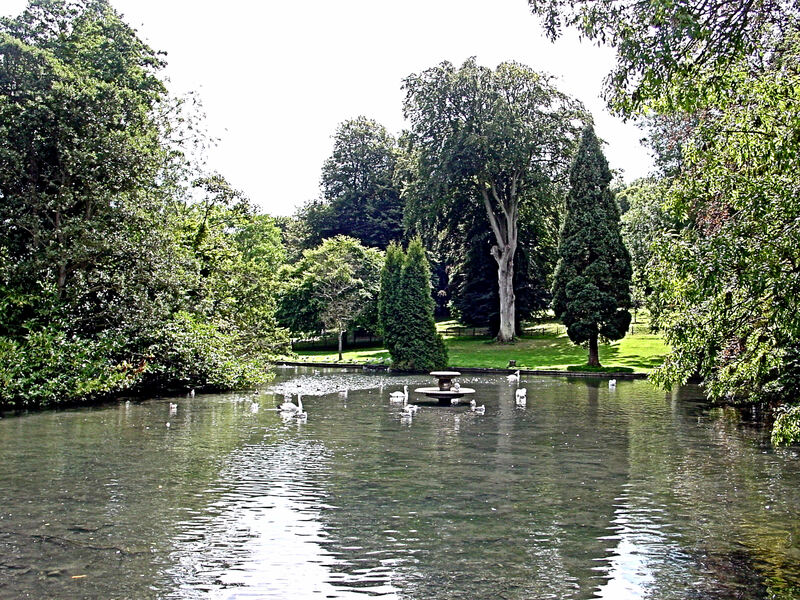 Kearsney Abbey was never a religious Abbey but the name given by John Minet Fector to his country mansion in 1820. Following World War II, Dover Corporation commissioned town planner, Professor Abercrombie (1879-1957) to draw up plans for war-torn Dover. He suggested that Kearsney Abbey should become a recreational starting point of a riverside walk to the Seafront. This did not go down well as Dover Borough Council wanted the site for housing development though at the time, the Abbey came under jurisdiction of the Rural Council. Cllr. Russell sought to implement Professor Abercrombie’s suggestion and Dover Corporation reacted by applying for the boundary to be changed with this coming into force in April 1951. With great delight and ceremony, the boundary stone to mark the event was erected and this can be seen outside the Abbey grounds near the entrance opposite Lower Road, Temple Ewell. Albeit, unable to implement their housing immediately, the Dover council tidied up the parkland with the Dover Players putting on annual and popular Shakespearian productions. The extensive park had four inter-linked lakes with fountains fed by the river Dour and an ornamental bridge for crossing the lake. The tributary from the Alkham Valley on entering Kearsney Abbey, divides with one stream going to what was once Kearsney Abbey Mill that has long since gone. These days it is carried in a conduit that empties into the Kearsney Abbey lake. The other stream, after passing what was the original Abbey billiard room, now a tearoom, having been dammed further down, becomes the lake. 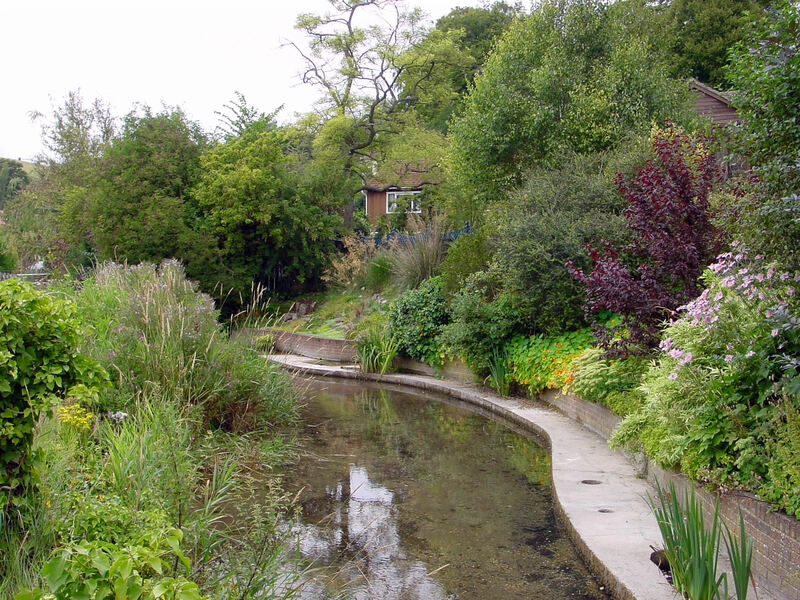 The main stream of the Dour, from Kearsney Manor, is carried in conduit under the Alkham Valley Road and comes out in a deep cutting at the east side of the grounds. Before reaching the cutting, there is a grass covered mound, underneath what was once the Abbey icehouse. From the cutting the Dour divides with one stream entering a conduit and the other, into metal pipes. 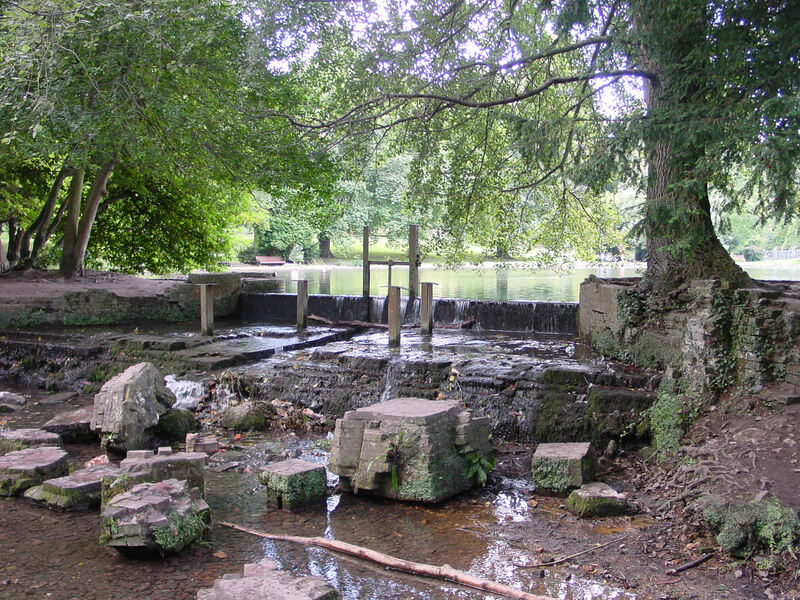 The conduit is lined with chalk blocks and was laid directly onto the original riverbed to the exit of Abbey park where it becomes part of the waterfall. The pipes carry a head of water under pressure, which once worked ornamental fountains that stood in the middle of the lake. The original swans moved into the Abbey on their own accord, from further up stream in the Alkham valley tributary, and settled on the islands. In 1877, the Abbey was bought by John Henry Wellington Graham Loftus, fourth Marquis of Ely (1849-1889). 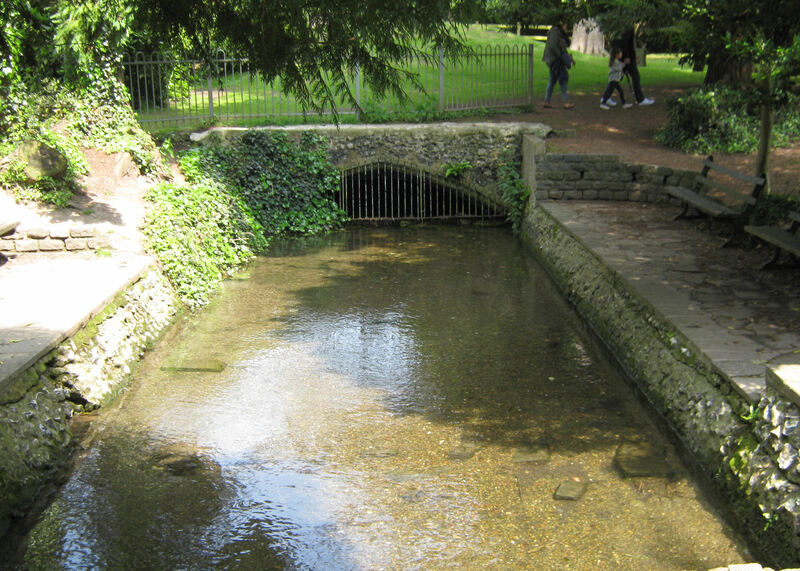 He had culverts installed to regulate the flow of wastewater from the mills upstream, including Kearsney Abbey’s own mill in order to prevent the lakes from flooding. By 1882, the whole of the Kearsney estate had been split with 26 acres of the land to the north of the Abbey and west of the Manor sold to become Kearsney Court. 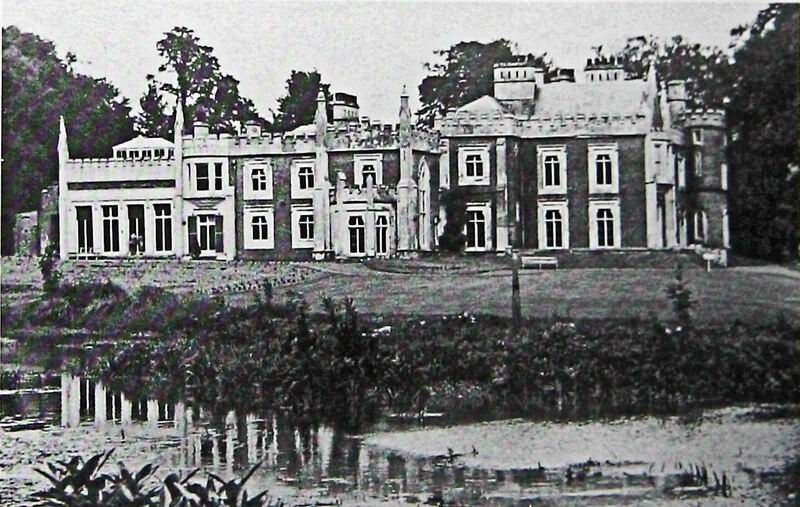 The 90 acres that made up the Kearsney Abbey estate remained in the possession of the Marquis of Ely until he died suddenly in 1889. The Abbey then went through a number of owners, including the Faversham gunpowder manufacturer, Charles William Curtis (1824-1905). During World War II the Abbey was commandeered and following the War, bought by Dover Borough Council (DBC). Having wanted the Abbey grounds for new housing, in February 1960, Dover Council arranged for all but the former billiard room to be demolished. 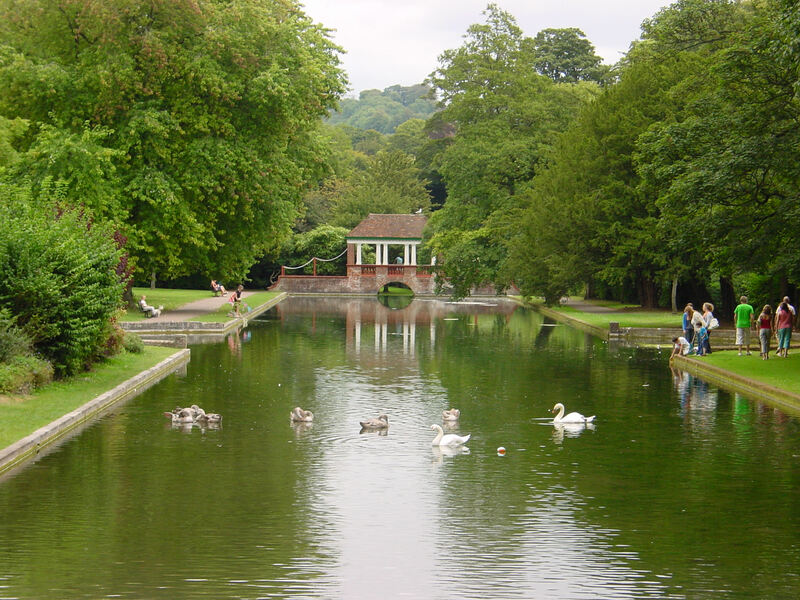 A massive public outcry stopped the redevelopment then in the 1980s Dover District Council (DDC) decided to make Dover a tourist destination, including the Abbey grounds. Escalating costs of the tourist-pivotal White Cliffs Experience in the Market Square, Kearsney Abbey, like other open spaces that speculators had their eyes on, came under threat. Following an even greater public outcry DDC backed off and the Abbey grounds received a makeover. All the original structures that were still standing, including the bridge, were given English Heritage Grade II Listing and recently, DDC have been awarded £3.3 million from the Heritage Lottery Fund to bring the Kearsney Parks back to life. For the full story: Kearsney Abbey. The walk leaves the Abbey on the east side of the Dour along the path by the waterfall, then through a pretty glade adjacent to the river. 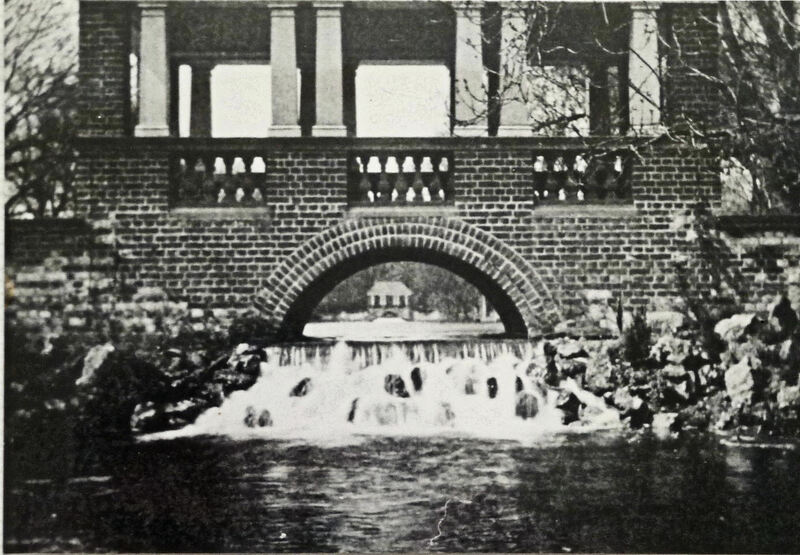 This waterfall was constructed as a ‘ruin’ feature to dam the Dour and create the lakes. Back in the 1820s, Fector had bought the old Town Mill near Townwall Street, had it dismantled and rebuilt to a smaller scale, in the grounds of the Abbey. This was in order to pump water to the mansion and the mechanism was still in use until 1924. What remained of the mill, along with parts of the medieval Town Wall that was being dismantled about the same time, created the dam and its attendant waterfall. Since the 19th century planning permission has been given to build residences along this part of the Dour bank but so far nothing has come of the projects. The Dour side path finishes by another waterfall created by ruins, the ruins were once the prosperous River Paper Mill. The paper mill was on the corner of Minnis Lane in the village of River. In the Domesday Book of 1086 the village name was written as Ripa, it was also given as Ad Ripam and Riparia. By the time of Edward I (1272-1307), the village was called Villa de Riviere and this was eventually shortened to River. At the end of the 18th century the village was described by Edward Hasted, as being ‘pleasantly situated about two miles from Dover, in a variety of country of high hills and deep extensive valleys; the high London road goes through it, on the left side of which the uniclosed down hills rise very sudden and high. On the other side, the slope of the vale is as sudden for two or three fields, at the bottom of which the river Dour meanders its little silver stream;’ He goes on ‘On the further bank, among a narrow range of meadows, is a long straggling row of pretty neat-built houses, among which are three papermills, a corn, and a seed mill, comprehending the village of River, having the church in the midst of them, beyond which the hills rise again very high, being frequently arable, interspersed with small coppices and clumps of wood wildly placed among them. And finishes, ‘The view of this from the London road forms a most romantic and picturesque scene. ’ Although much house building has taken place since that time, in some respects the ambience is not much different. The ruins of the first of the three paper mills, referred to by Hasted, now forms the picturesque waterfall mentioned above. Minnis Lane takes its name from a common at the top and a corn mill once stood on the site of the demolished paper mill. Religious persecution in the Low Countries between 1567-1573 by the Grand Duke Alva (1507-1582) brought a flood of refugees to England. Among them were paper makers and early records show that some settled alongside the Dour and it is believed that it was one of the refugees that converted the former cornmill into a paper mill. By 1689 there was a thriving paper mill on the site, later known as Radford’s Mill. The daughter of Thomas Radford married journeyman papermaker, William Phipps, who leased the mill in 1765 and purchased it in 1780. Phipps introduced the first paper making machine to be used in Dover about 1821. Some eighty years later, when the mill was put up for sale, the inventory stated that it had an engine house, five water wheels, chemical store, rag sorting houses, boiler houses, ring boiler, drying house, fitters and smiths shops, chimney and two paper making machines. However, the Mill closed in 1907, reopened briefly in World War I (1914-1918) but closed again in 1918 and was subsequently demolished. The tall chimney was demolished in 1928. On the opposite side of Minnis Lane were mill workers homes called Dublin Cottages and behind them was the Dublin Man O’ War hostelry. 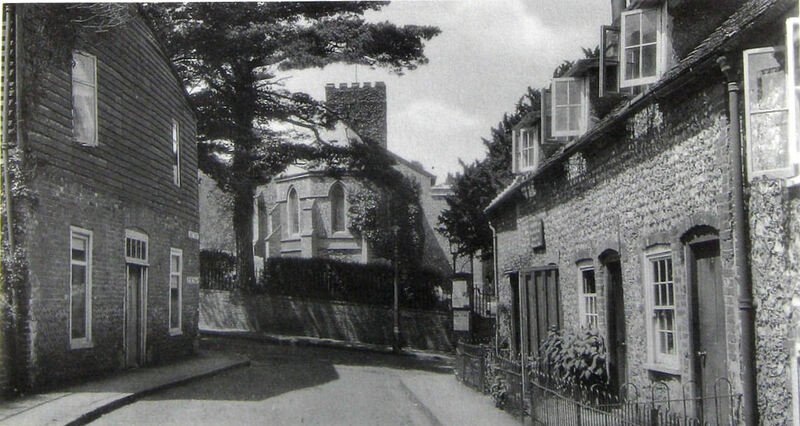 The pub, at that time, was probably a converted cottage but the house was particularly famous for its Hollands Gin. According to contemporary accounts, the proprietor between 1838 and 1881 was John Knott and the reason why it was so famous was because it was cheap! In those days, wholesalers had to have a special permit from the Customs to sell gin to retailers and to ensure that the full duty was paid, the Customs employed gaugers. The gaugers job was to check that the wholesalers’ books tallied with the retailers so that the full amount of duty was paid. It was alleged that John Knott came to an arrangement with the wholesalers and the gaugers, giving them a percentage of his gin profits if they reported that he was selling a lower amount of gin than he was actually selling. The Customs were not slow to realise what was happening and attempts were made to prosecute Knott. One each occasion he was found not guilty! Although Customs were unable to put an end to the practice, it was the teetotallers’ movement in the village that did, by persuading people against the evil of drinking gin! In 1898 the more recent Dublin Man O’War pub was built on River’s Lower Road. 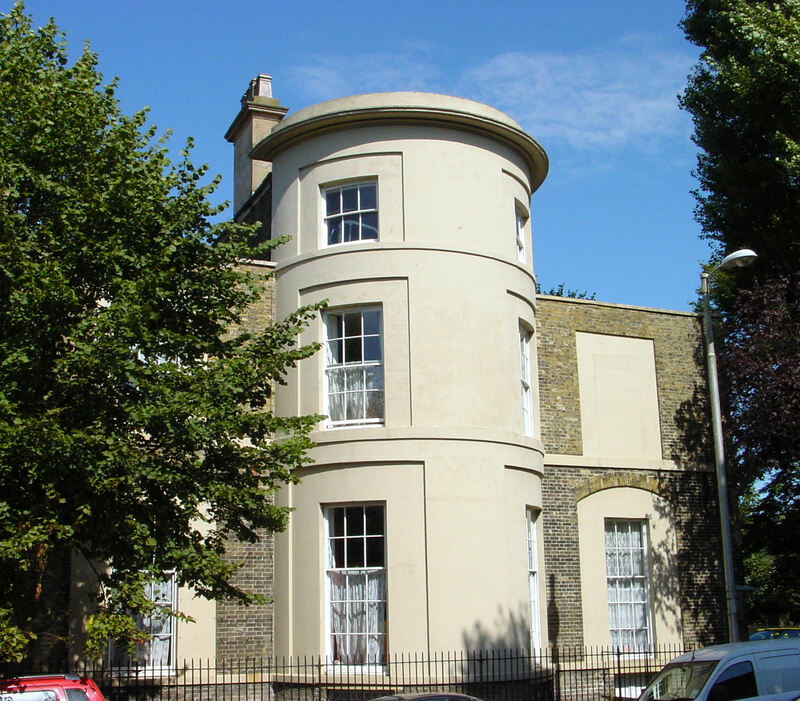 Designed by Edwin Pover, a well known East Kent architect, James Rolle was the landlord at the time. On the same side as the mill workers’ cottages and the former Dublin Man O’War, was the River Mill House. The elegant Georgian mansion faced Lower Road and was erected for William Phipps (1758-1837) and was occupied by succeeding generations of the family. Filmer Phipps (1833-1911), circa 1888, was declared bankrupt and sold the house. An advert of May 1894 tells us that it had 15 rooms, a large garden and was set in 3/4acre of grounds. The novelist James Barlow (1921-1973) bought the house in 1960 but two years later he sold it. Shortly after, it was demolished and the houses we see today, along Lower Road, were built. Lower Road, River, was originally called Watery Lane due to its proneness to flooding and our walk crosses the road at the bottom of Minnis Lane. Nearby is a telephone box and to the left is the ‘Cut’, steep steps and footpath up the escarpment from River to London Road. It was originally a roadway replacing one further south, when the railway line was laid in 1861. The Cut remained a road until well into the twentieth century and a notice close to the railway bridge states that it is insufficient to carry a heavy motor car! The walk along Lower Road passes cottages that were once inhabited by mill workers and opposite the entrance to Common Lane is the village Co-operative store. Although modern, its presence has historic significance that goes back to a River Paper mill worker, Radford Evans (c1835-1912). In 1879 he was a foreman at the mill, married with nine children and lived in one of the cottages on Minnis Lane – demolished 1957. As soon as their children were old enough, they joined their parents to work at the mill. The Phipps family drove their workers hard with long hours and pay based on piecework and made up of a combination of cash and truck or tickets. The latter the workers exchanged for groceries from the Butty – the mill shop – at prices determined by Phipps. By 1879, the self educated Evans was fed up with the extortionate Butty system so he and six other men, inspired by the national Cooperative movement, decided to form a co-operative to purchase their groceries wholesale. The River Co-operative Society, (RCS) was registered in May 1888, opening their first shop at 92 Lower Road. The house, now private, can still be seen. Although the development of the River Co-operative was subject to set backs, the organisation, on 10 April 1889, purchased a site in Biggin Street which became their Central store. They also bought the site in River that includes the present Cooperative store. Following World War II, the renamed Dover and District Co-operative Society became Dover’s main retailer with stores in Aycliffe, Buckland Estate, Sheridan Road, Folkestone Road, Manor Road and Union (later Coombe Valley) Road, Cherry Tree Avenue and branches at Whitfield, Elvington and Aylesham. They also had a large departmental store in the centre of Dover, an equally large bakery and taking up much of Crafford Street, a dairy. They also had countless other facilities to meet the needs of the householder. In 1948, Sidney Doble of the Co-operative Sports Club carried the Olympic Torch on the way to Wembley through Dover. Albeit, since that time, the Co-operative has faced fierce competition and gone into decline such that by 2008, it was reported that only the River shop and the Dover funeral parlour remained. In July 2010 a large Co-operative store opened in Stembrook, close by the Dour. The full story can be read on Co-operative Society and Dover. The Dour once flowed across Common Lane that goes up to River Common. Vehicles crossing the river sloshed through the ford while pedestrians used a rickety footbridge. The reinforced concrete bridge we see today was built by G W Lewis and Sons, opened on 15 July 1927 and cost £1,659. It is only by looking over the bridge parapet that the river can be seen as it runs behind houses. Thus the walk must continue along the Lower Road. 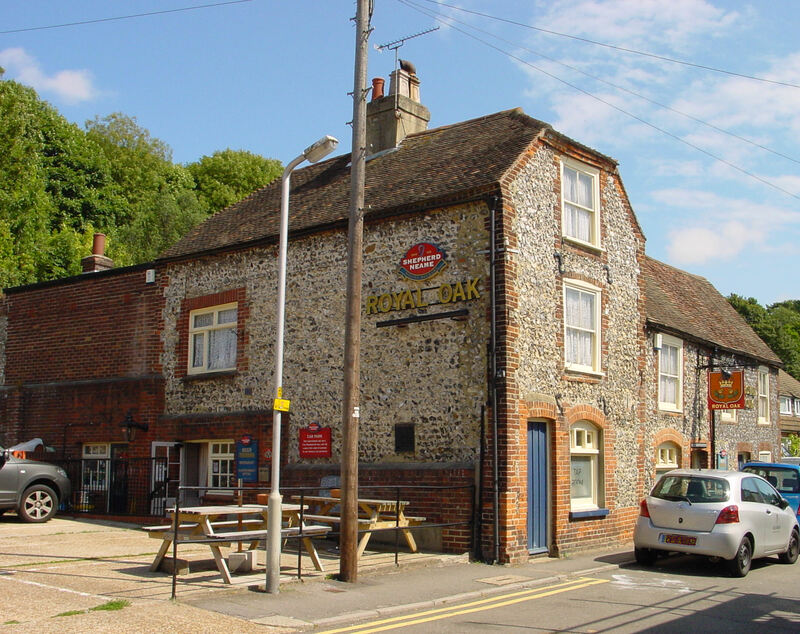 The next building of historic interest is the Royal Oak, part of which is Grade II Listed. In the early 19th century Edward Halladay lived in the Royal Oak cottage and besides opening a beer house in 1838, he was the village schoolmaster and sub-postmaster. 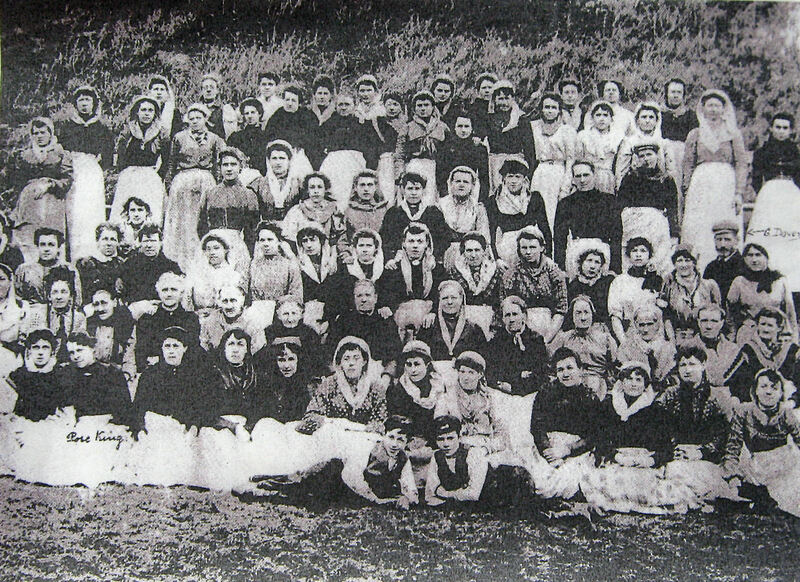 The school was a success and many local children attended when they were not working. In 1847 Elizabeth Baxter became the village schoolmistress and by 1858 Mrs Fanny Dowding held that post. Although the younger children attended the school at the Royal Oak cottage, the older ones attended lessons in the Church. Moves were afoot to consolidate the situation and in 1871 John Judges had the school rebuilt on the present Lewisham Road site. Although Edward Halladay and subsequent landlords of what became the Royal Oak pub, wanted a full licence it was not until 1944 that Alfred Gardner, representing the brewers Gardner and Company, managed to get a licence to sell wine. It was another eight years before they were successful in gaining the full licence and that was only because the Hotel de Paris, then on Strond Street by the Granville Dock, was due to be demolished so the licence was transferred. New build houses at Riverdale are on the left before the Lower Road veers to the right and crosses the Dour. Riverdale was named after the large Victorian house, built in the 1840s, that stood on the site until it was demolished in 1971. After crossing the bridge over the Dour, the house on the right was built in 1894 and during the Great Storm of October 1987 a large tree was uprooted and narrowly missed demolishing the bridge! Crabble is a hamlet between River and Buckland and lies in the hollow, west of Crabble Hill that carried the London Road into Dover. Where the name came from seems to be lost in the mists of time. After crossing the bridge the Lower Road is on the right of the Dour, which is no longer obscured by houses and widens out into the pretty millpond of Crabble Mill. The original Crabble corn mill was in existence from before the time of Henry III (1216-1272). He had granted a Charter to St Radigunds Abbey that mentioned the corn mill at Crabble. In 1746, the Horne family owned the mill with Thomas Horne (d1807) taking possession around 1784. During the Napoleonic Wars the mill, along with other Dover corn mills, was working flat out to meet the needs of the naval and military personnel billeted in the town. At the time William Baldwin, who leased it to the Pilcher family, owned the corn mill. Joseph and John Pilcher borrowed from Fector’s bank to purchase it in 1804, using these loans to build the Grade II Listed mill we see today. Willsher Mannering senior (1814-1853) bought Crabble Mill in 1836 for £2,610 and when he died, his son Willsher junior (1841-1923) eventually took control. With sights on the London market, Willsher transported flour by sea and with his brother Edward (1849-1932) made the family fortune. Willsher resided at the now demolished Crabble House until 1908, when he moved to Riverdale House until his death in 1923. The mill ceased to operate on a commercial scale in 1893 but the Mannerings kept it well maintained until it was sold in 1957. Possible development of the site was considered though it was generally opposed. 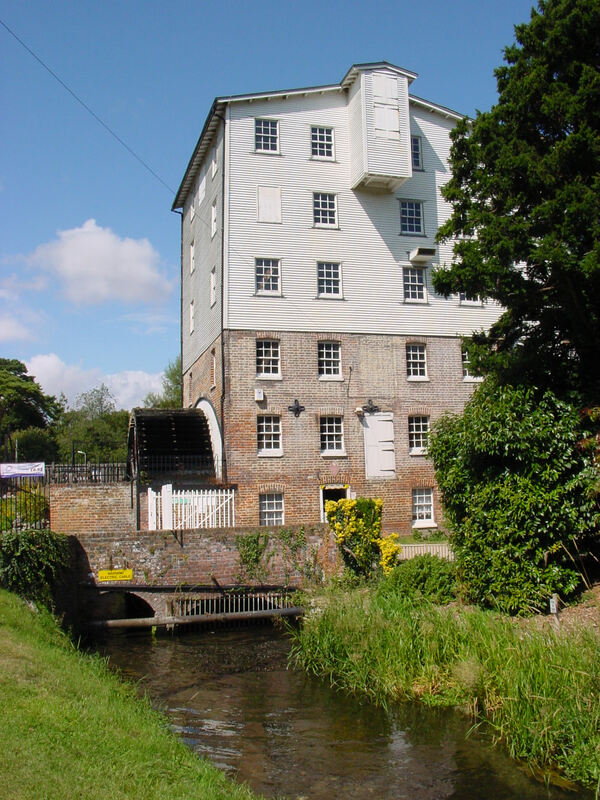 In 1972 the Cleary Foundation bought the mill and spent £30,000 on restoration. 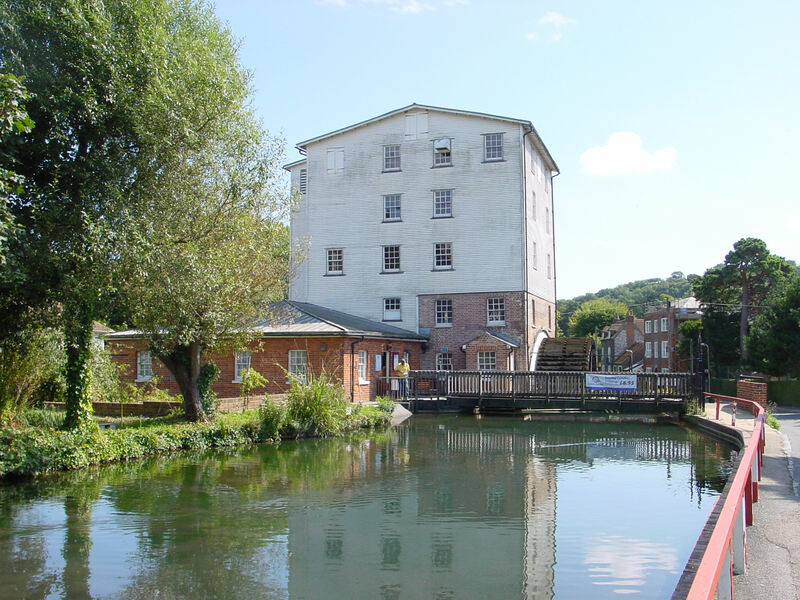 Following the advent of Dover District Council (DDC) in 1974 the mill was neglected so the Crabble Corn Mill Trust was set up and in 1987 was given the freehold by the Cleary Foundation plus £25,000 towards restoration. DDC reacted by repairing the pond wall and giving £130,000 towards refurbishment. English Heritage gave a further £100,000. In 2013 a plaque marking the 200th anniversary of the mill was unveiled by the Lord Lieutenant of Kent, Viscount De L’Isle. The automated water-powered iconic Industrial Revolution corn mill is open Easter to September, Sundays only 11:00-16:00hours and is open all the year round for booked parties. Both guided and self-guided tours are available and it is well worth a visit. 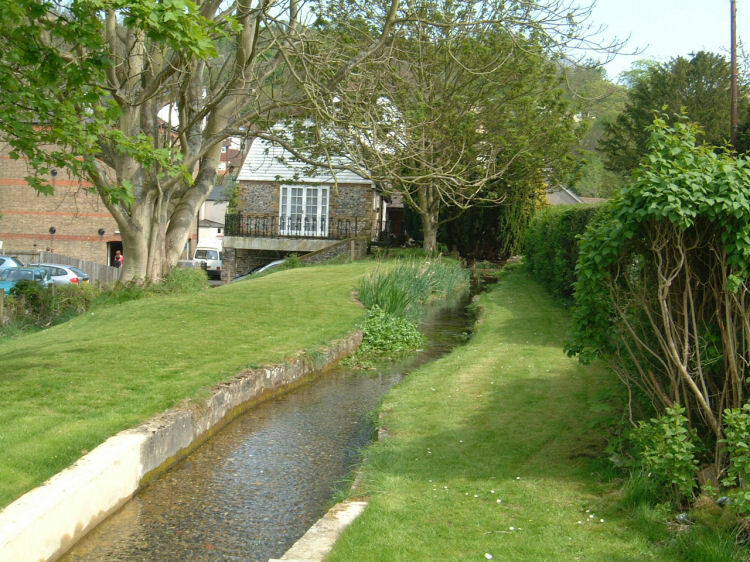 After the mill, the Dour flows past pretty cottages and gardens once famous for early primroses. The Crabble Mill Trust with the help of a grant from the Heritage Lottery Fund purchased these in 1995. On the opposite side of the road is the 18th century Crabble Court and next door what was the original River Parish poor house. Following its closure, it was bought by John and Joseph Pilcher in 1793 for £45 and became the latter’s residence. 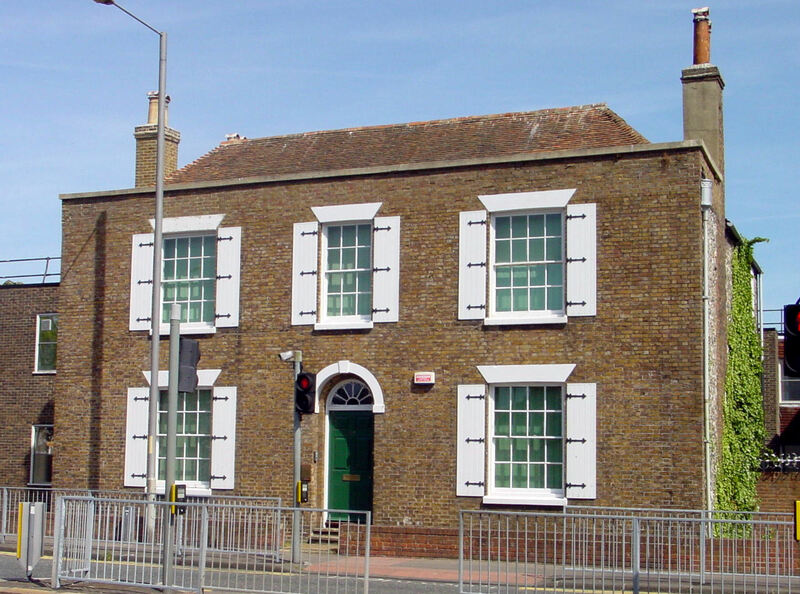 In 1850 the house was bought as the vicarage for River St Peter and St Paul Church but ten years later a larger house, on London Road, was built for the vicar. After a succession of owners Edward Mannering junior (1880-1971) of the milling family bought it just prior to the outbreak of World War II and stayed there until he died in 1958. On reaching the junction with Crabble Road on the left a residential complex can be seen. This is part of what was once Crabble paper mill that was built by William Phipps in 1790. By 1807 he had introduced machinery to produce continuous paper and his sons, Christopher (1790-1867) and John (1782-1841), invested in the dandy roll, to make watermarks. Christopher’s nephew, Filmer Phipps (1833-1911), inherited the business but on being declared bankrupt in 1888, the paper mill was sold to Wiggins, Teape, Carter and Barlow of London. Edward Percy Barlow of Kearsney Court was one of the Managing Directors and head of the Dover branch. Having bought Buckland paper mill Barlow turned Crabble paper mill into a rag house and at its height, employed 250 women and 11 men. The mill was rebuilt in 1896 and again following a disastrous fire on 10 July 1906. Following World War II the mill was used for storage purposes before closing in 1989. Since then the site was redeveloped to the complex we see today. The walk crosses the junction from Lower Road to Crabble Avenue with Crabble Road on the left and Lewisham Road on the right. Crabble Road climbs the steep hill with sharp bends to the London Road. Opposite to what was Crabble paper mill, once stood the attractive Georgian Crabble House. 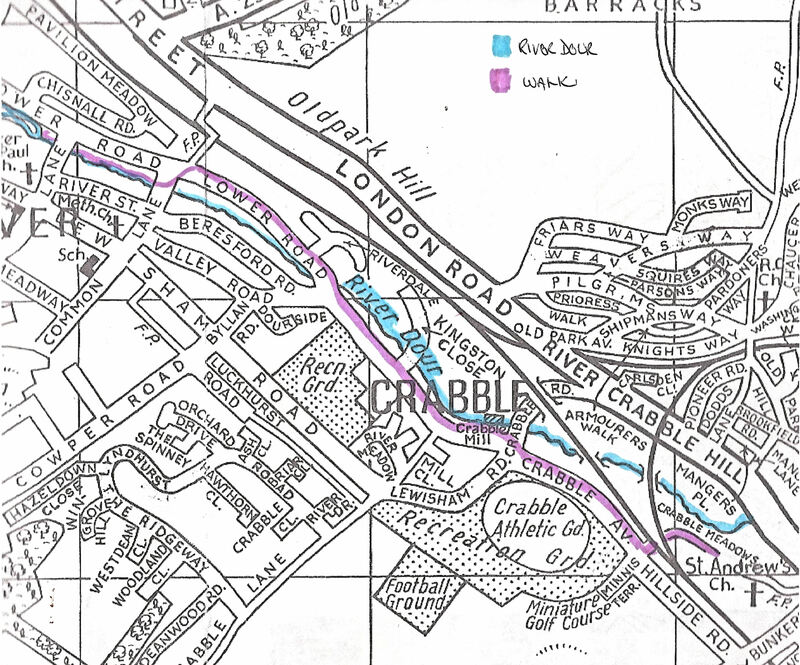 When the London, Chatham & Dover Railway Company laid the track to Dover, it passed over Crabble Road and then through Crabble House garden. To enable the occupants of the House to reach the remainder of their estate the railway company built a tunnel through the embankment! The entrance to this can still be seen from the social club drive on the left side of the bridge. 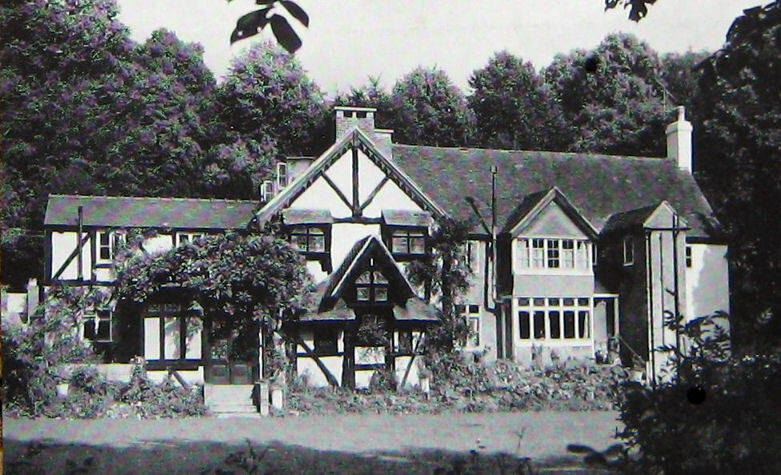 Crabble House was demolished in 1965 and bungalows were built on the site. The original railway bridge was rebuilt in 1936/7 when Dover Borough Council switched from open top trams to double-decker buses. Lewisham Road is to the right and climbs the hill into River village and was laid in the early 20th century. 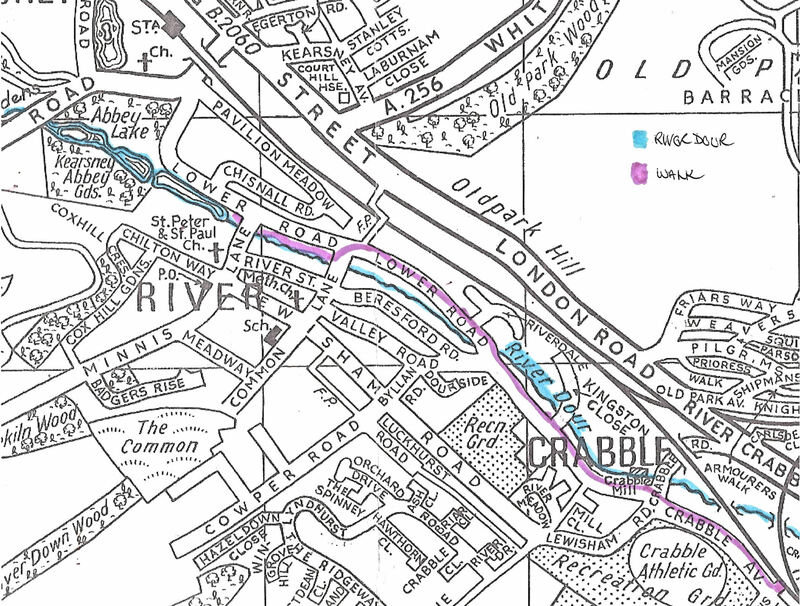 At that time, this part was the narrow Crabble Lane until it was renamed The Lane still exists but now goes from the top of Lewisham Road to Abbey Road and on to St Radigunds Abbey. Near the junction with Lower Road, at that time, was the ancient Crabble farmhouse sometimes called Parsonage farmhouse although Crabble never had a parson. 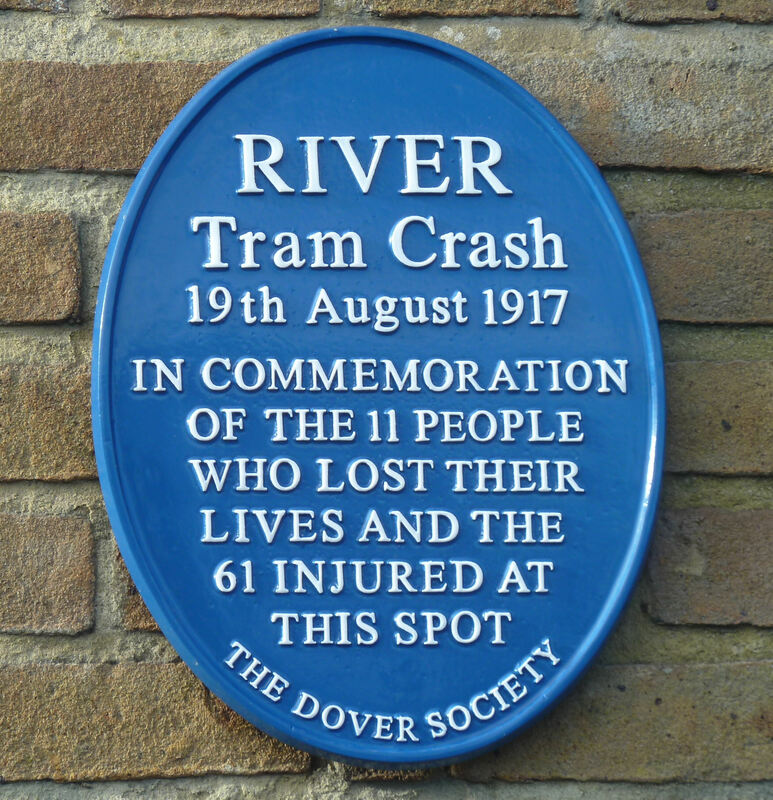 On Sunday 19 August 1917 one of the worst tram accidents on record took place on the bridge that crosses the Dour at this location. Eleven people died and 61 were injured, many seriously, with one dying later. The causes included a combination of the steep gradient; sharp curves not dealt with adequately due to cost saving; an open top, overcrowded top heavy tram; inadequate safety precautions and an inexperienced driver. On that fateful day, for reasons unclear, the driver omitted one of the vital safety precautions at the top of the hill. This led to the tram going at full power all the way down to the bottom where it overturned with the upper deck smashing into the river bridge wall. The full story, taken from the Coroner’s and Board of Trade Reports, can be read in Crabble Tram Accident. On the bridge wall there is a Dover Society commemorative plaque. Having crossed Crabble Road into Crabble Avenue we loose sight of the Dour as it goes behind the properties and through a culvert under the railway line and then into the grounds of the former Buckland paper mill. The first building on the left on Crabble Avenue is Chestnut Cottage, built in 1881. Next door is the Cricketers Arms where that many of those involved in the Crabble Tram accident were taken. This was originally opened in 1892 as a hostelry by Frank Leney of the brewing family. In 1896 a syndicate including Frank’s older brother Alfred C Leney bought a 14acre plot of land that was part of Crabble Meadows and included the hostelry. 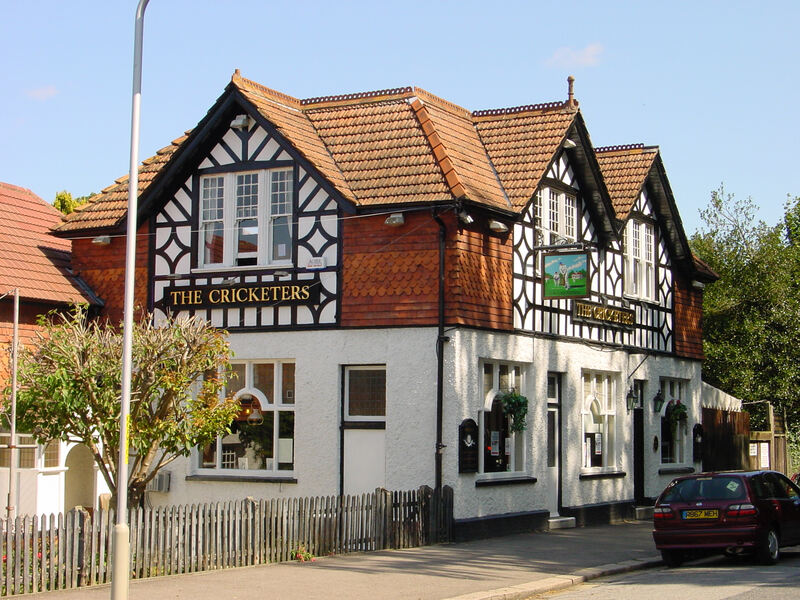 Alfred C Leney was toying with the idea of building a hotel and bought the hostelry from the syndicate, enlarged it and named it the Cricketers’ Arms. A popular venue, the readers of the Dover Express voted the pub ‘Dover’s Best Boozer’ in 2016. The general comments were that it is an all round family friendly pub with a sprawling beer garden. The syndicate, to which Leney belonged, planned to build an international cricket ground on the site they bought. He, like the others, surveyor Henry Hayward, solicitor James Stilwell and Francis Finnis, was a keen cricket fan. 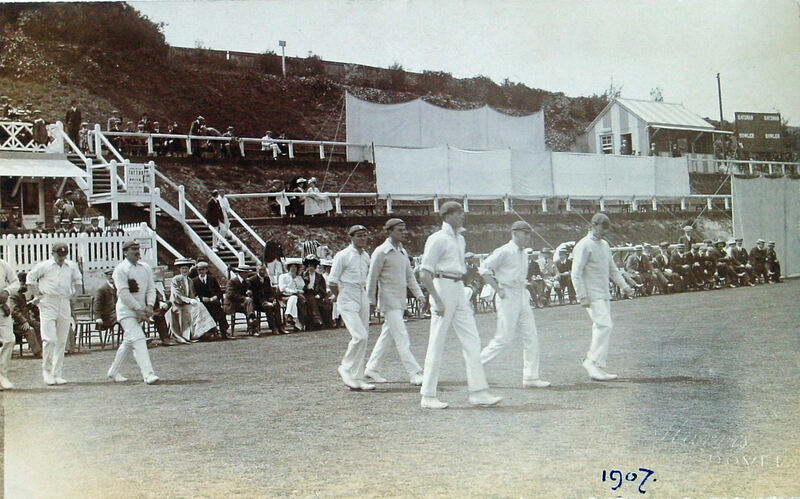 In 1896 Dover’s cricket ground had been sold in order to build what are now Millais and Leighton Roads. Henry Hayward’s architect son Fred designed and developed the site, which is on the opposite side of Crabble Avenue to the Cricketers Arms. The ground included the 8-acre perfect oval area for cricket and famous cricketer, Alec Hearne (1863–1952), laid out the quick draining/drying playing surface. Arthur Munns, who had once played for Kent, was appointed groundsman. Surrounding the state-of-the-art cricket pitch was an asphalt cycle track and at the side, tea lawns and a pavilion. Later, a winding path interspersed with flowerbeds and shrubberies was laid and has since matured into a very nice walk. Dover’s Member of Parliament (1889-1913) George Wyndham (1893-1913) opened the Crabble Athletic Ground on Whit-Monday 1897. Two years later, in 1899, Marylebone Cricket Club (MCC) played at Crabble but a court case, which the syndicate won but were not given costs, took its toll. The following year, even though the town held a successful cricket festival, the syndicate decided to sell Crabble for housing. 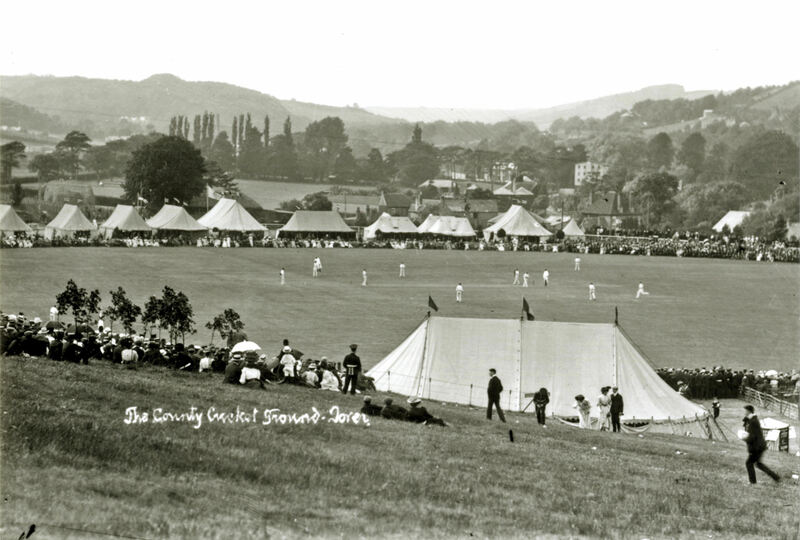 Dover Corporation stepped in and bought the ground for £5,500 in 1902 and excepting for war years both Test matches and County cricket was played at Crabble until 1976. That year the Test and County cricket pitch inspector, Bernard Flack, failed the pitch for the following year’s fixtures and professional cricket ceased. See the full story of Cricket and Crabble Athletic Ground. Crabble Athletic Ground is now the home of Dover Sharks RFC Rugby Union Football Club. Along Lewisham Road is the entrance into the Dover Athletic Football ground. In Dover Association Football was first played on Barton Meadow – where Barton Road school is today, There was a football pitch at Crabble between Gorse Hill and the cricket ground, but this was for military personnel use only. 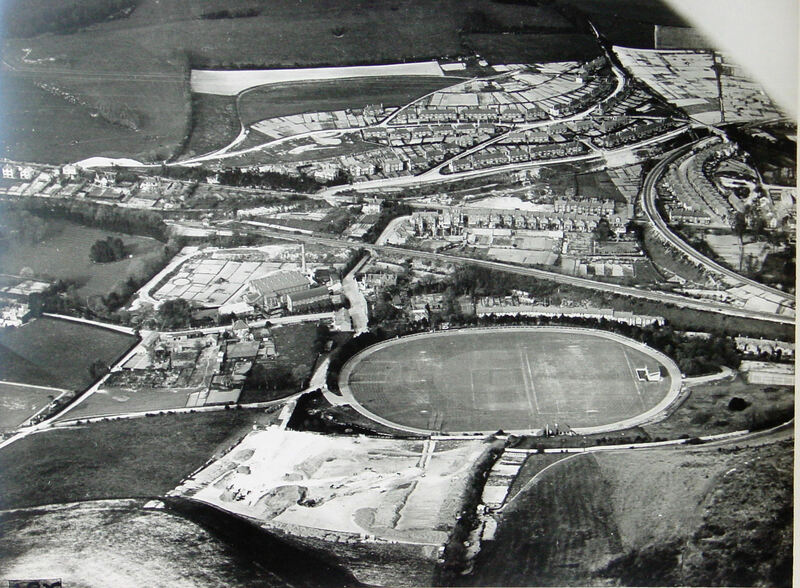 In 1920 Dover United football club was formed and the pitch became their home ground. As they gained success a better ground was wanted and the council allowed them to use the cricket ground in the winter. Increasingly football encroached into the cricket season and matters came to a head in 1924. It was suggested that if money came available a new football pitch with stands would be laid on the old football ground. A plan was prepared and an application was made to the Unemployment Grants Committee in 1929. This opened a year later and in 1934 the Dover Football Club won the Kent Second Division League trophy. Following World War II the club was re-formed and in 1952 became semi-professional joining the Southern League First division in 1959. They were promoted to the Southern League Premier division in 1967 but due to unpaid taxes the club folded. Out of the ashes, in 1983 Dover Athletic Limited was admitted into the Southern League winning the championship in 1990 but as the ground did not meet the required standard, the Club was denied promotion into the Conference League. Work was undertaken and three years later, after winning the League again, the club was promoted. From the 2000-2001 season the club faced a number of problems augmented by poor results and was relegated. In 2008, things started to lookup and in the 2013–14 season, Dover reached the play-off final for the second successive season and defeated Ebbsfleet United to return to the Conference Premier. The following year the ‘Whites’ as the Dover team are known, won through to the third round of the Football Association’s (FA) Cup and played Premier League Crystal Palace at Crabble on 4 January 2015. Ironically, England’s first soccer captain was Dovorian Cuthbert Ottaway (1850-1878) and during his career he played for Crystal Palace, nonetheless the visitors won 4-nil. At the corner of Crabble Avenue and Hillside Road is a tunnel that takes the footpath under the railway line and comes out in the ancient village of Buckland. The village was described by Hasted in the late 18th century as being long and straggling and an ‘exceeding barren country, which on the left consists of open downs and on the right of small inclosures of arable, with much rough ground and coppice wood, the soil of the former being a hard chalk.’ He went on to say that on ‘the whole a poor and barren country, unprofitable to the occupier, and dangerous to the traveller.’ But tempered the description by adding that in the valley ‘the lands and meadows are fertile, and produce good corn and grass. In the vale, in the southern part of this parish, among the arable lands, is situated Coombe farm; and in the northern part of it the manor of Barton.’ It had developed on the side of the London Road to which the path – Crabble Meadows – leads. On the right is St Andrews Church and on the left is the former site of Buckland Paper Mill, once Dover’s largest none-maritime employer. 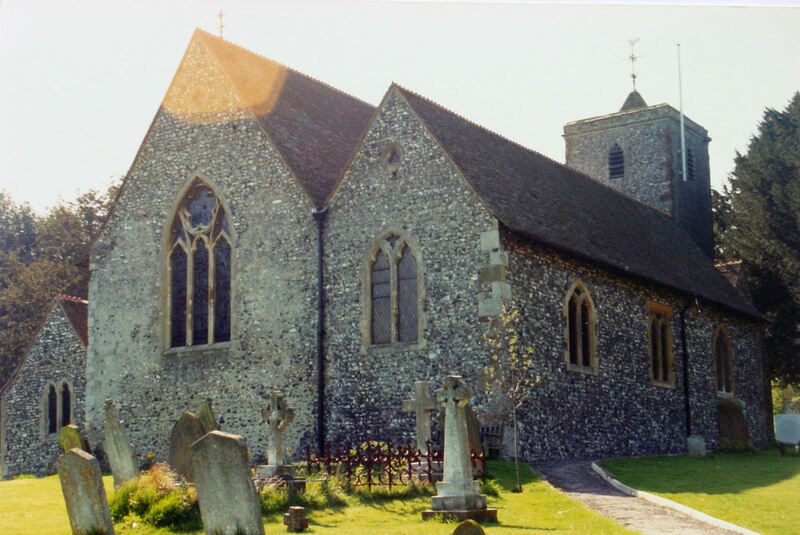 The parish church of St Andrew’s was built about 1196 but its Saxon origins can still be seen. With the increasing population, the Church was partially rebuilt and enlarged in 1851 but due to the continuing increase in population, in 1880, the nave and aisles were doubled in length. The work was undertaken by William Adcock One of the biggest problems faced was the ancient yew tree – at the time to believed to be a 1,000 years old. 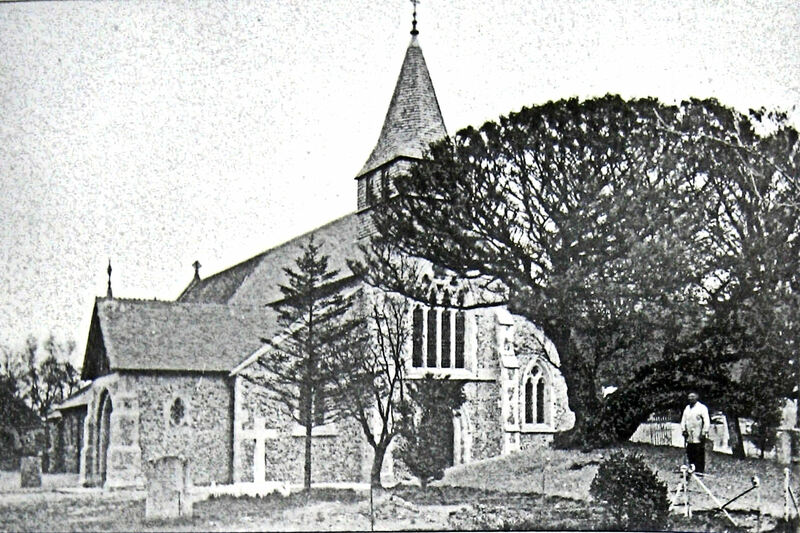 The tree was carefully uprooted and replanted further away from the Church and can still be seen in the Churchyard protected by an iron fence. Following the building of much of the Buckland housing estate, on the hills above Buckland village, a new daughter Church, was dedicated to St Nicholas in 1960. Inside the Church there are many interesting artefacts including the Earl of Eglinton Ship’s Bell dated 1854. Buckland parish school opened within the precincts of St Andrew’s church in 1842 and catered for 100 boys and girls. In 1860, with a government grant of £1,320, a new school opened on the London Road with a distinctive bell tower. That year, the Earl of Eglinton was wrecked off St Margaret‘s Bay and the bell was bought for the school. When the school closed in 1968/9 the bell was preserved in the Church. The stained glass windows of the Church gives an insight into the parish history. For instance, one is in memory of brewer Alfred Leney senior who died on Sunday November 4 1900. It was his tenants who paid for the window. Of the monuments that can be seen in the Church, there is a marble one to Sir John Bentley (c 1703-1772), Vice Admiral of the White. He had the original mansion, named the Shrubbery, built on Crabble Hill – before Brookfield Avenue was built – and he also owned Buckland Manor. With regards to the Shrubbery, a greater part of the original estate is now owned by the Coleman Trust and includes the R V Coleman Home fronting Brookfield Avenue. The Home is currently let to the Health Authority and is predominantly used as a Mental Health Clinic. Outside, the Churchyard contains numerous and many still legible family memorials and tombstones that show the broad spectrum of the livelihoods of folk who once lived in the village. 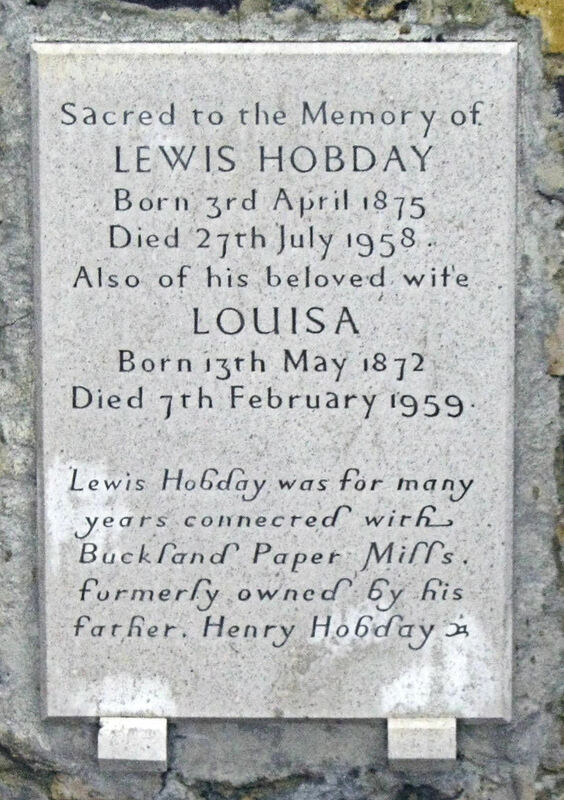 For instance, Lewis Hobday, the son of the former owner of Buckland paper mill who spent most of his working life at the mill. On the opposite side of Crabble Meadows path is the Dour and the remains of Buckland Paper Mill. Originally this was a glebe wetland fed by the Dour and also springs belonging to St Andrew’s Church. At some point the river course was deepened and possibly the direction altered to include the springs and a corn mill was erected. Eventually, this became a paper mill and in 1777 Ingram Horne (d1785), a local landowner, bought it and had the mill rebuilt. About 1825, George Dickinson, the brother of John Dickinson who founded the well-known paper makers, took over the mill followed in 1836 by William Weatherly. During this time the mill was subject to several devastating fires but on each occasion was rebuilt, enlarged and improvements made. In 1840 Charles Ashdown (1808-1888) bought the mill and ran it assisted by his son William Henry, known as Henry (1841-1875). Eventually the Ashdown’s went into partnership with Henry Hobday (1838-1921). In 1887 they won a lucrative contract with the giant paper manufacturer, Wiggins, Teape, Carter and Barlow of London, to produce Conqueror Paper. Unfortunately, on 25 September 1887, yet another disastrous fire badly damaged the premises but in order to fulfil the contract, they had the mill repaired and bought new state of the art equipment costing £7,000. Having successfully fulfilled the contract Ashdown died and the giant paper company made Hobday an offer that he did not refuse! One of the new owners was Edward Barlow who became Chairman of the Dover factory. 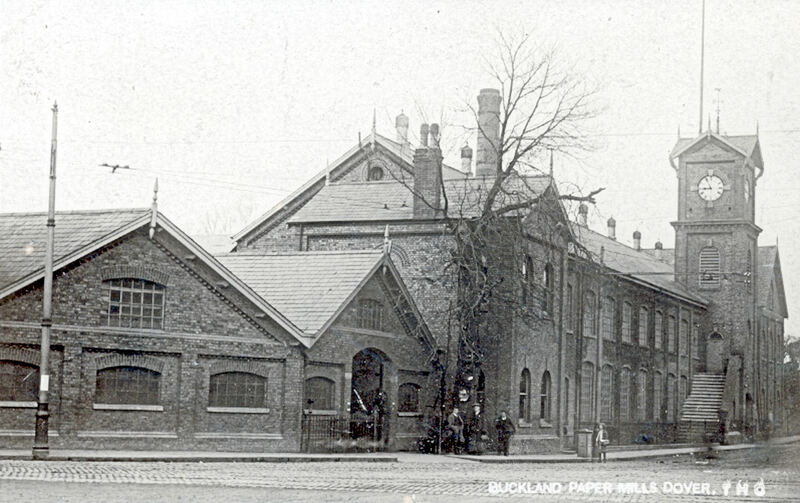 Taking up the post in 1900 he immediately invested in expanding the premises and soon Buckland Paper Mill’s output was approximately 70-tons of paper a week and the largest manufacturing firm in Dover. The company besides buying Crabble paper mill sank a number of wells in the grounds of Buckland Mill to tap the abundant water supply. The mill and the company, Wiggins Teape, continued to expand and to remain successful. In December 1990 they amalgamated with the French owned Arjomari to become Arjo Wiggins Appleton. The new company operated in 29 countries and had a workforce of 19,000 employees – they were the largest paper production group in Europe. By the year 2000 the mill site covered nine acres, had more than 200,000 square feet of buildings and its own electricity generating plant. 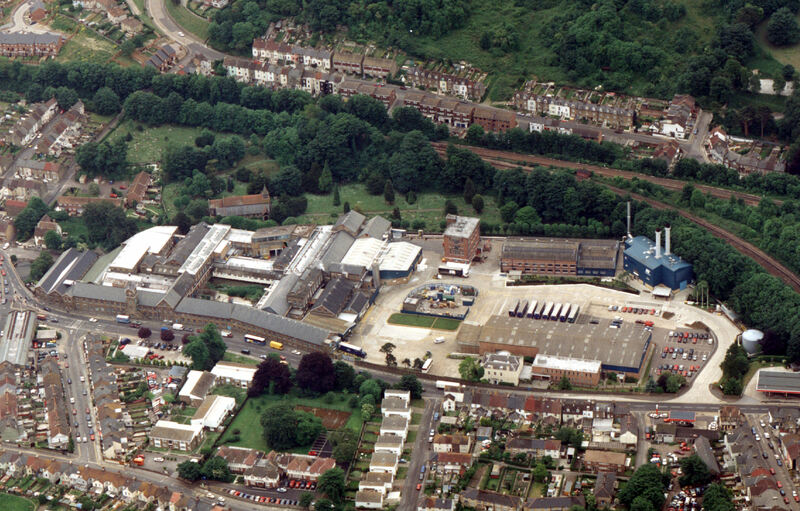 However, in June that year, the production was transferred to Stoneywood Mill, Aberdeen resulting in the Dover mill’s closure with the loss of 150 jobs. Since then the site has been earmarked for a housing development. The walk comes to London Road that for centuries the Dour was crossed by ford. 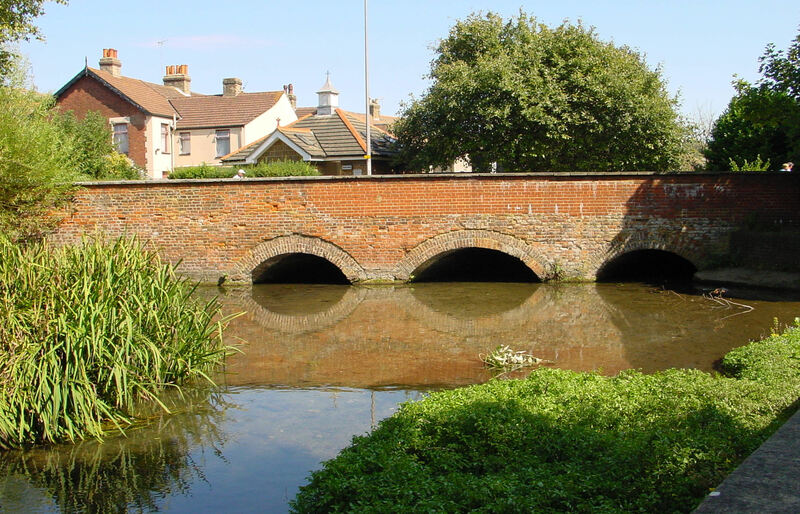 In 1753, the Dover to Barham Downs part of the road to London was turnpiked and from the revenues, in 1795, the Dour was deepened in order to build the brick three arched Buckland Bridge. A few years later, on 18 June 1814 the Duke of Wellington (1769-1852) met the leader of the Prussian forces during the Napoleonic Wars, Marshall Gebhard Leberecht von Blücher (1742-1819) on the Bridge. On 6 April Napoleon Bonaparte (1769-1821) had abdicated and was imprisoned on the island of Elba. The meeting took place as Wellington had been appointed the ambassador to France. By March 1815, Napoleon had escaped from Elba and quickly marshalled his army. The Napoleonic Wars resumed and both Wellington and Blücher were allies in the final defeat of Napoleon. This was on 18 June at the Battle of Waterloo. In the 19th century local politicians would meet Dover’s two Members of Parliament on the Bridge, welcoming them with brass bands and silken banners. It was also the place, at election times, that the parliamentary candidates with an entourage of supporters would make their public entry into the town. From the descriptions of the time it would seem that the pageantry surrounding these occasions was spectacular, expensive and designed to try and out-rival other candidates. During the twentieth century the bridge has been widened to accommodate increasing traffic and in 1993 the town’s one-way traffic scheme was extended to Buckland Bridge. It is not unusual for cars, travelling at speed, to crash through the bridge parapat and land in the Dour! Its that which makes the bull mad.’ P.W. Sneller transport firm, in 1878, introduced a popular horse-drawn, open-top bus that ran from the Bull Inn to the South Eastern Railway’s Town railway station, in the Pier district. The company opened on Cherry Tree Avenue in 1876 and survived until 1979, at its height had a staff of 30 and 17 lorries and of note the two old petrol pumps on Cherry Tree Avenue are the firms legacy. The Sneller horse-drawn tram service continued until electric trams were introduced in 1897. During the 19th century the pub not only backed onto the Dour, but its grounds included an orchard and stables. 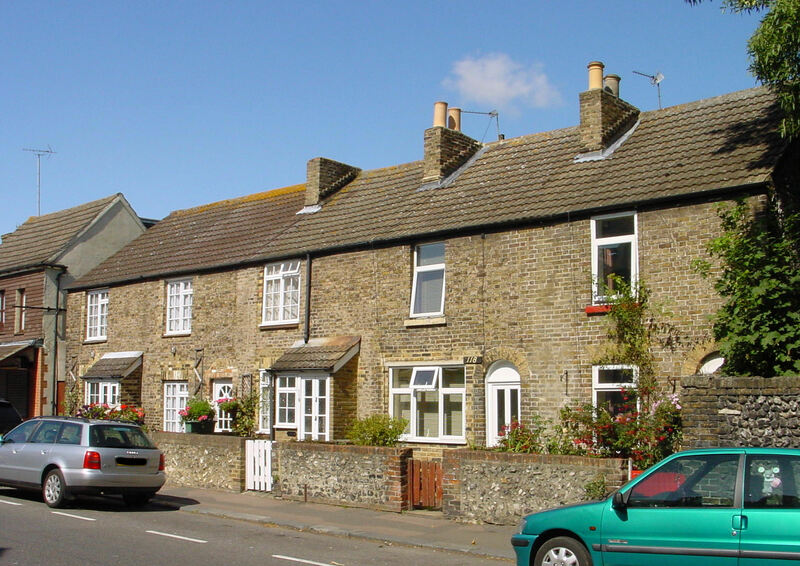 Along London Road, it can be seen that some of buildings are cottages or converted cottages. Towards the end of the Napoleonic Wars William Kingsford bought Lower Buckland paper mill, on what became Lorne Road, and his son had the cottages built for the paper workers. In 1819, Alexander I (1801-1825) the Emperor of Russia, attended the christening of the Princess Victoria (1819-1901) – later Queen – as one of the Godparents. On passing the cottages on the way to London the Emperor was impressed by their pleasing appearance of neatness, comfort, and cleanliness. From this, so it was reported, the monarch formed a very high opinion of the advanced state of civilisation and happiness to which the working classes of England had attained! 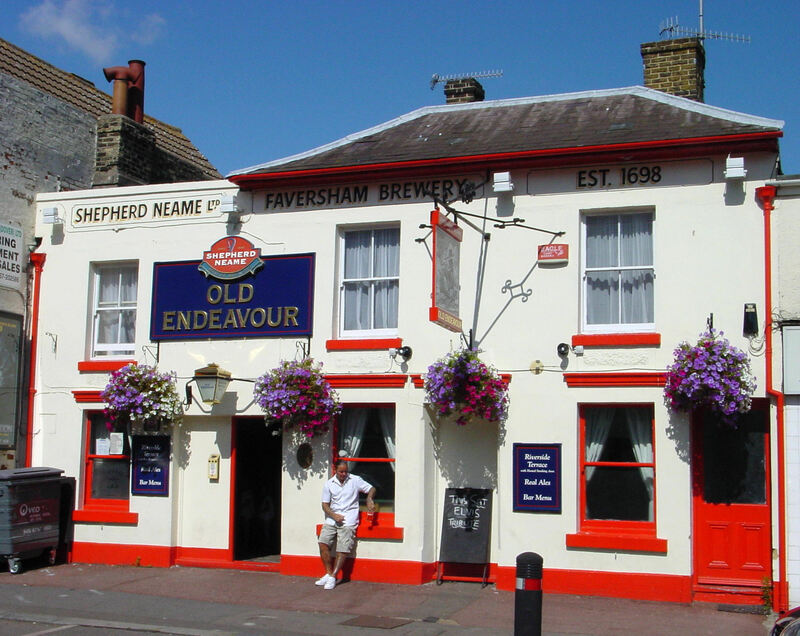 One of the paper mill cottages was converted into the Old Endeavour pub about 1847 and was named such as it was near a row of cottages called Endeavour Place. They had been named after the Dover privateer, Endeavour, fitted out on Shakespeare Beach in July 1746. Privateering was a legalised form of piracy and one of the main income earners for the folk of Dover in the eighteenth century! The master of the Endeavour was Thomas Kennet and he was particular famed for sharing out booty equally between his officers and men. The pub sign recognises the origin of its name and in 1982, Gaskin’s, the local glassmakers, made a ‘window’ for the pub featuring the Endeavour, but sadly it seems to have disappeared. On the opposite side of the road from the pub is the once Buckland School, mentioned above. Before reaching the former Buckland corn mill that dominates this side of London Road, is Ryder House. Originally named Lundy House it was built by William Kingsford senior, the owner of Buckland corn mill, as his residence in about 1820. In 1846 Alfred Kingsford , the then owner of the Windmill Brewery, on the opposite side of London Road (1803-1878)then on the corner with Coombe Valley Road where Kingsford Court now stands), purchased the House. In the 1880s the Mannering family who, by that time, owned Buckland corn mill bought Lundy House. By 1889 the House was split into two with the main part, 115 London Road, occupied by Edward Mannering snr. The north side, 116 London Road, was renamed Brooklands and was occupied by Edwin Birch who founded Dover Marquee Company. Eventually, the two parts were rejoined but following World War II, the House was again split and remained in private occupancy until 1988. Mencare Ltd, which specialised in the care of adults with learning disabilities and owned by brothers, Brian and Roy Smith, purchased it. They restored building into one house, and renamed it Ryder House after an ancestor who played golf as part of the Ryder Cup team. The two brothers sold the business to Robinia Care Group in 1996. The imposing former Buckland corn mill was built in 1814 on the site of a medieval mill on what was then Brox-Ditch Meadow that extended to the east side of the Dour. The ancient mill was acquired by William Kingsford senior in 1814 when he bought the lands belonging to Military Engineer Sir Thomas Hyde Page. Kingsford rebuilt the mill and it commenced grinding a year later. The mill was later sold to the Pilcher family who paid for it using money borrowed from the Latham Bank of Dover. When the bank collapsed on 13 April 1846 the Pilcher family lost their livelihood. In 1863 Willsher Mannering junior rented Buckland corn mill, buying it two years later and in 1876, extended it to the five-storeys we see today. The corn mill closed in 1957 after which it was used by a number of Dover businesses until in 1996 when it was offered for sale and eventually Criccieth Homes sympathetically converted the mill into flats. Crossing Lorne Road, where Part II of the walk will takes us, there is an 18th century house of note. This is 110 London Road and was once under threat of demolition but a ‘compromise’ was reached by the addition of a modern, unsympathetic, office block! Sir Thomas Hyde Page built the house, the military engineer responsible for a number of important defence works at the Castle during the American War of Independence (1776-1815). He was also responsible for starting what eventually became the Western Heights fortifications, building four shore batteries (since demolished) which together with Archcliffe Fort and a canal along the seafront, made an effective line of defence during the Napoleonic Wars. See the stories of the 110 London Road and Western Heights – in two parts). 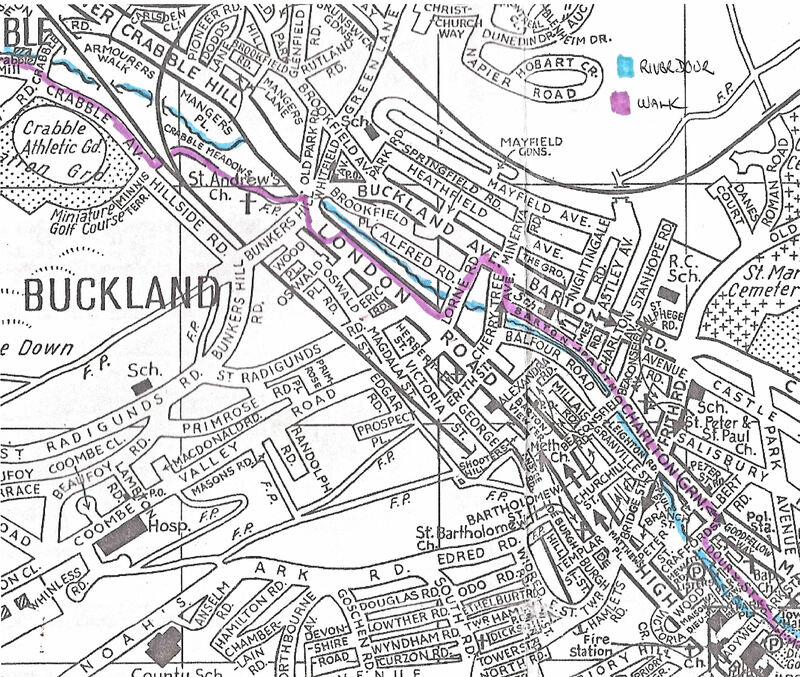 Section II is the Walk from Barton to Wellington Dock. 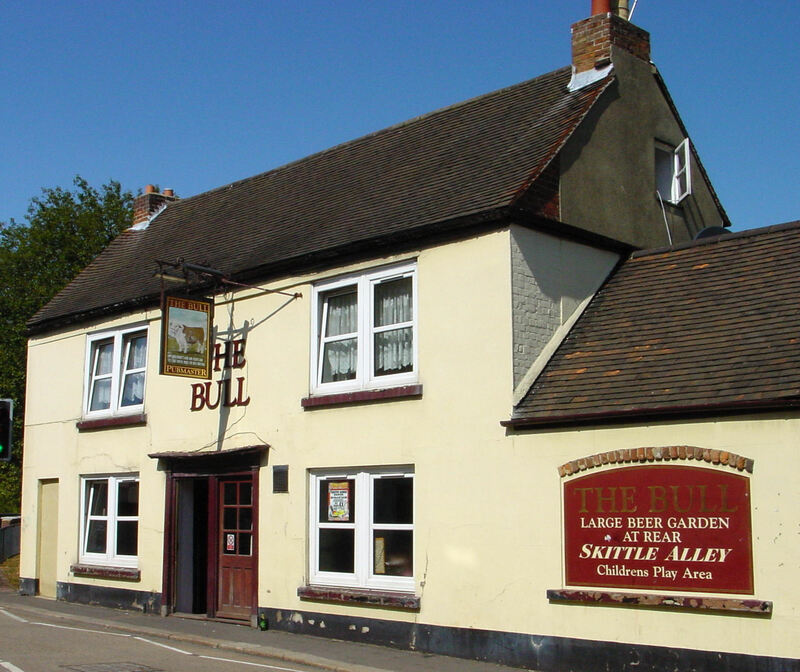 This entry was posted in Maritime, Open Spaces, River Dour part II the Walk section I –Temple Ewell to Buckland, River Dour Part II the Walk Section I –Temple Ewell to Buckland, Tourism. Bookmark the permalink.